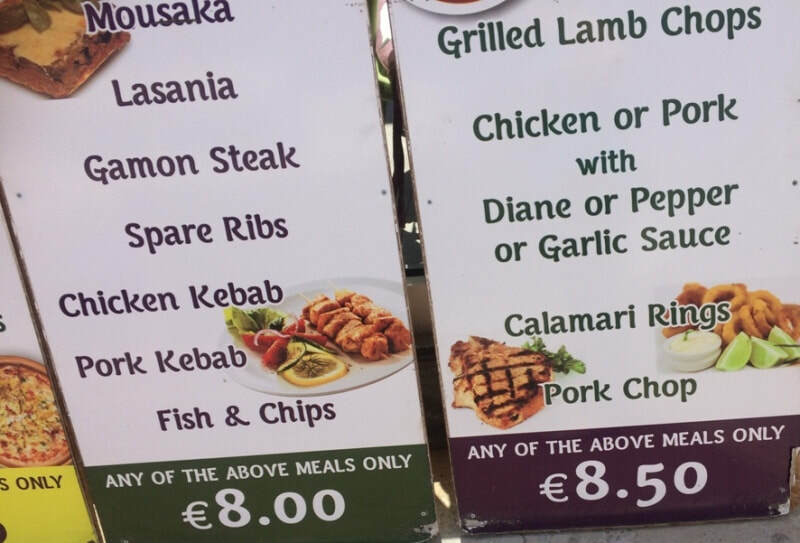 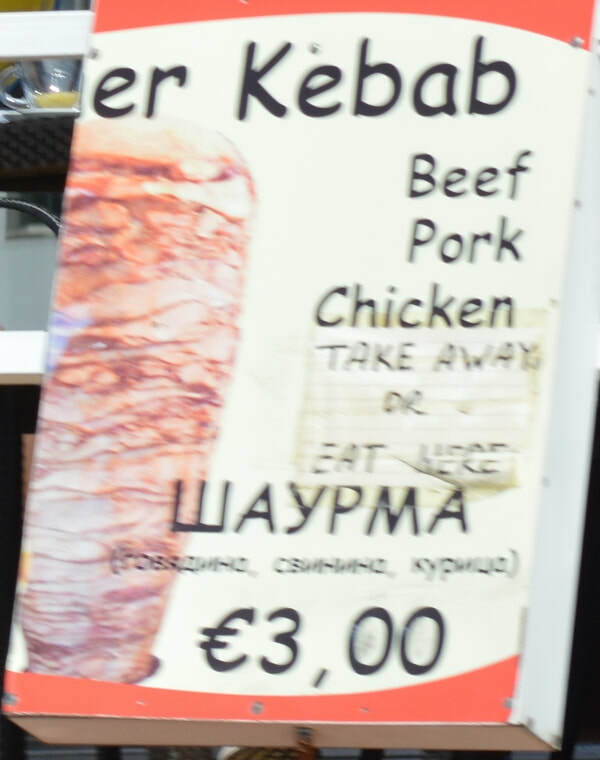 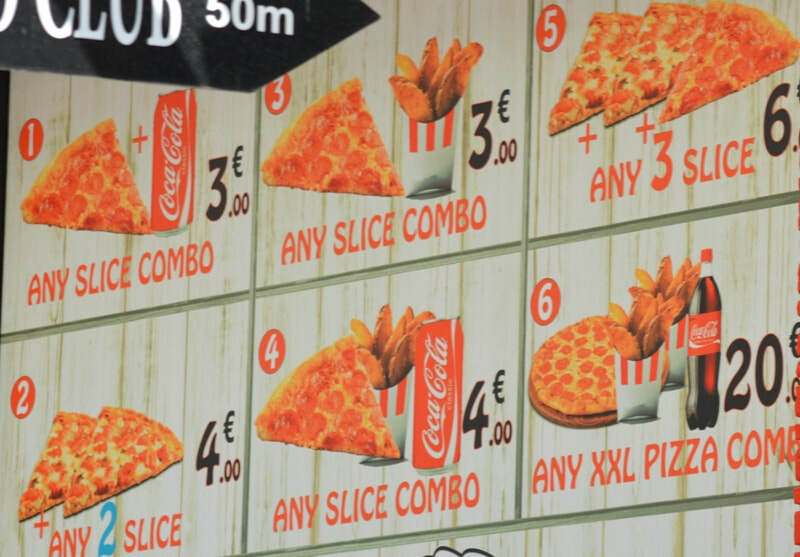 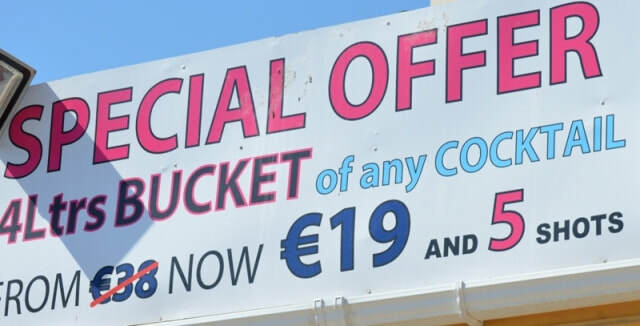 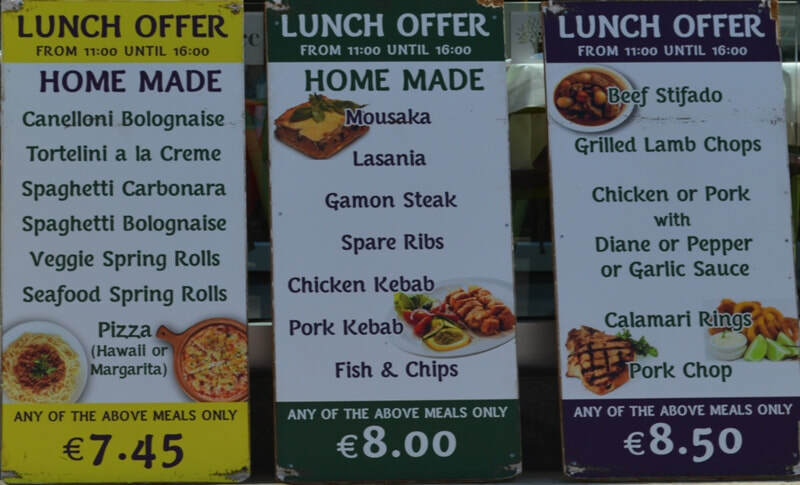 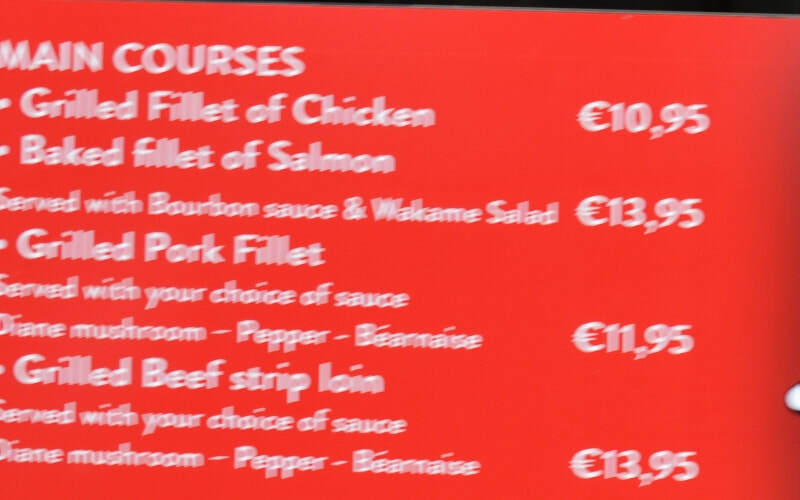 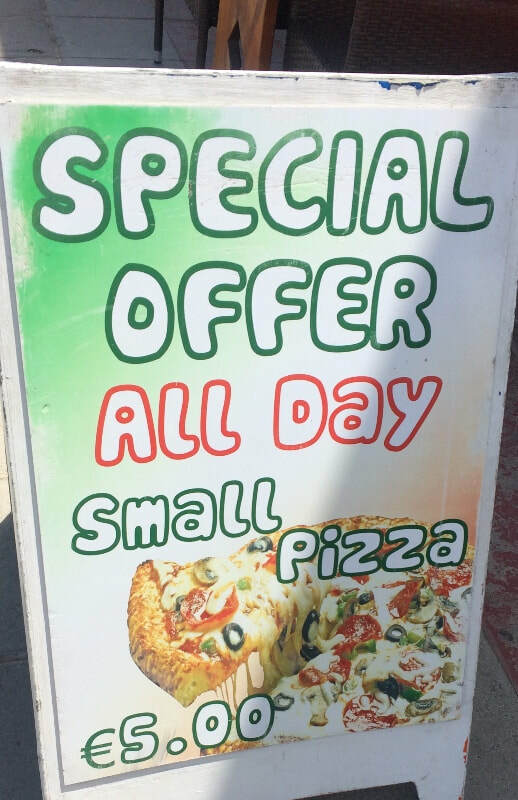 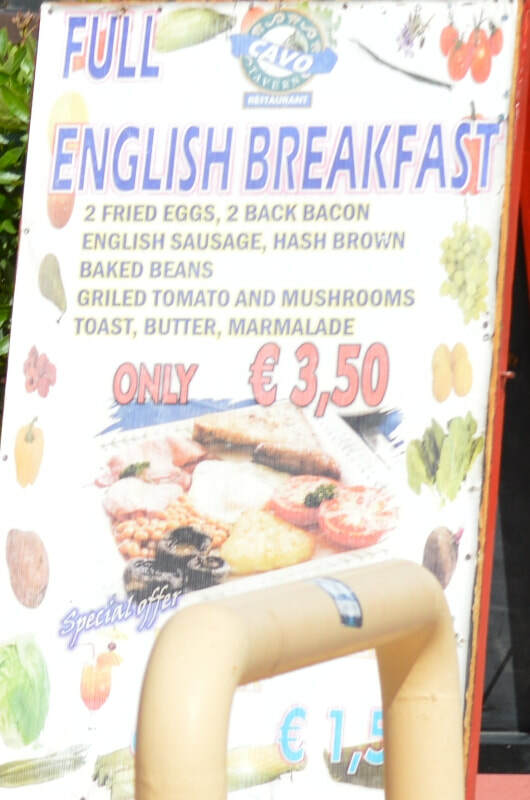 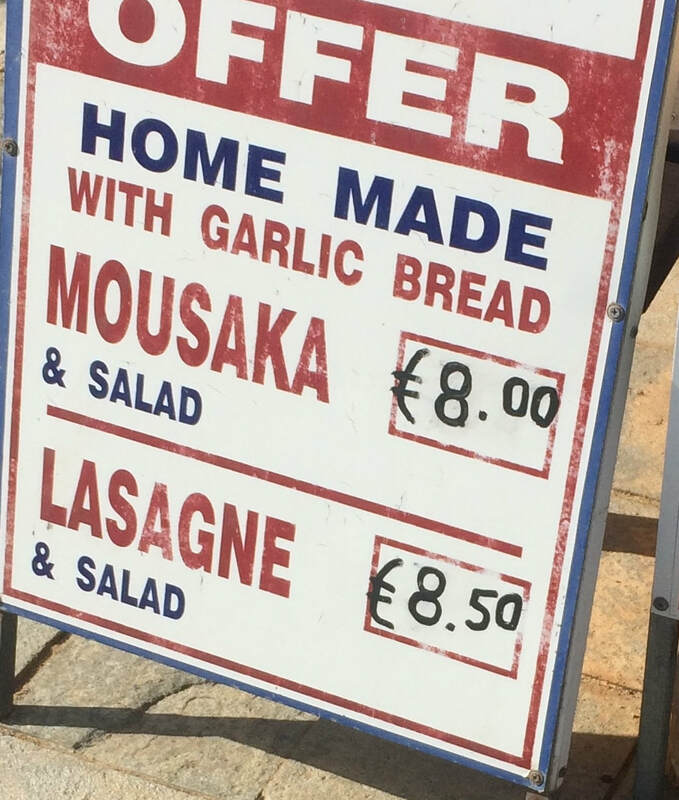 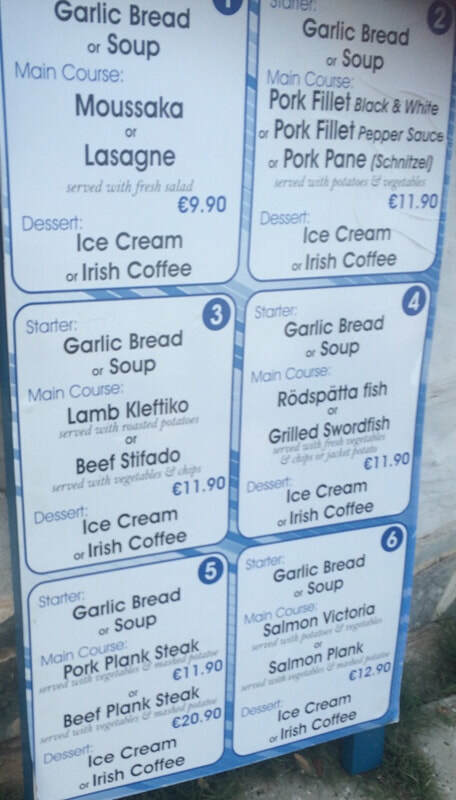 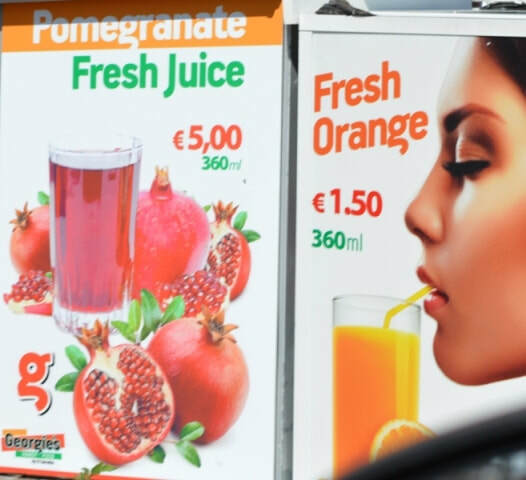 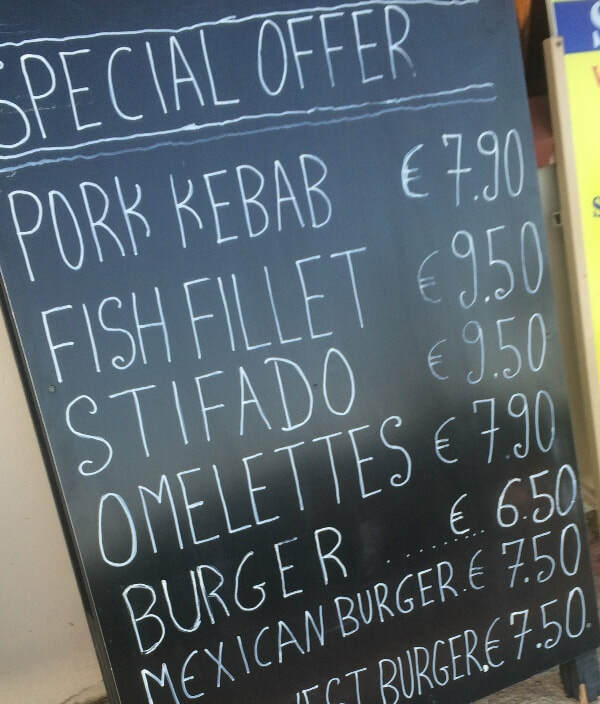 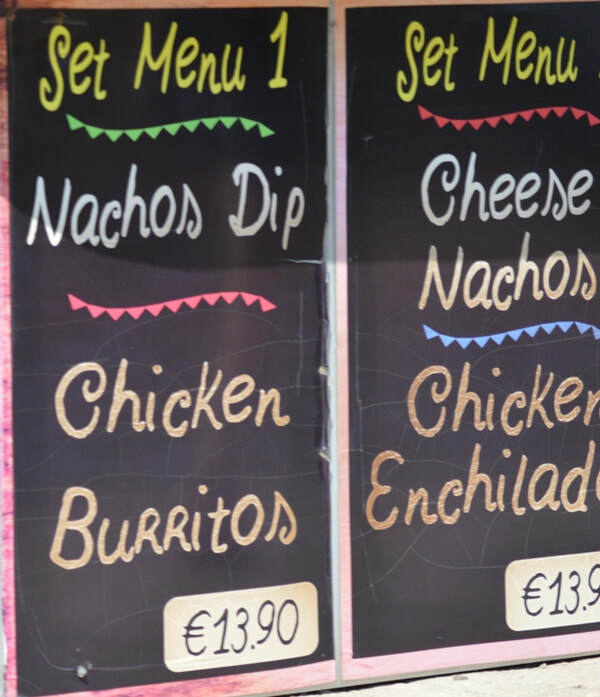 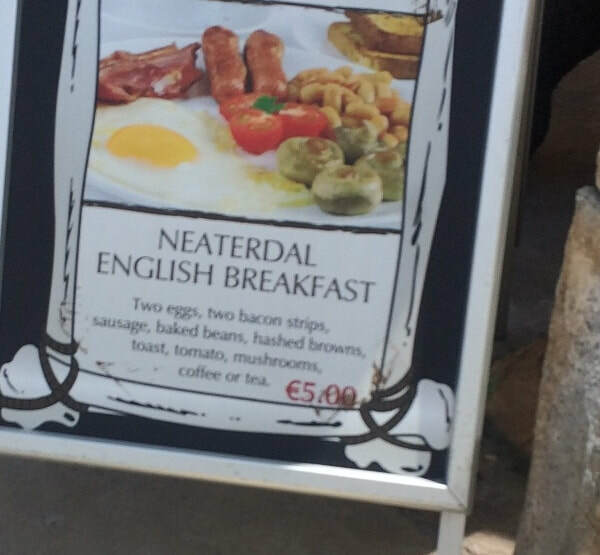 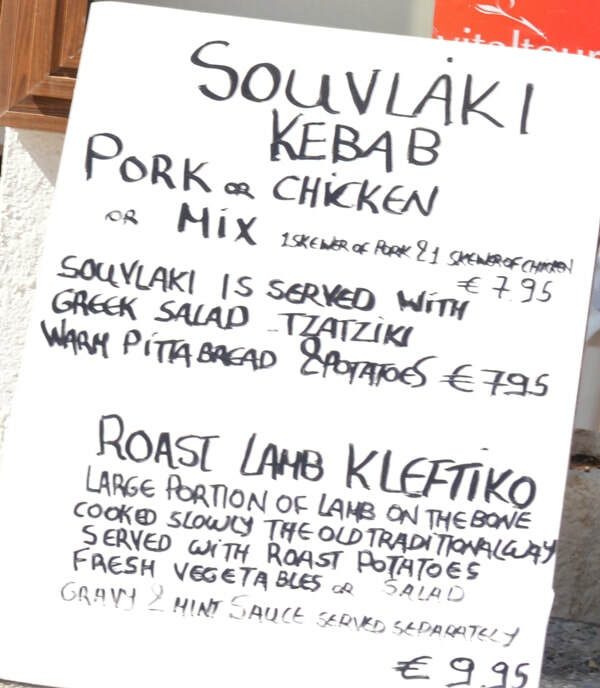 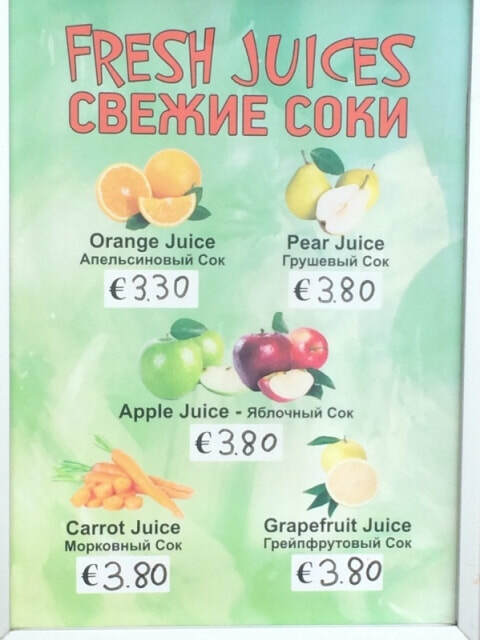 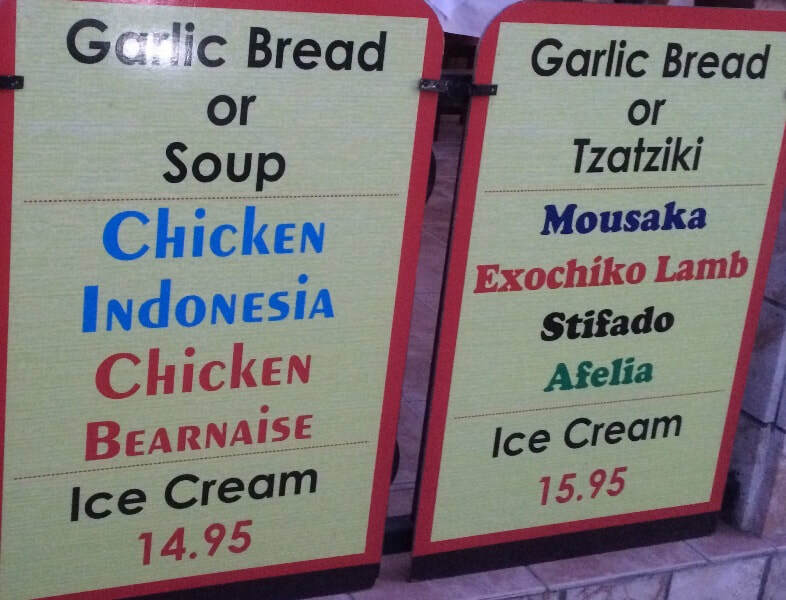 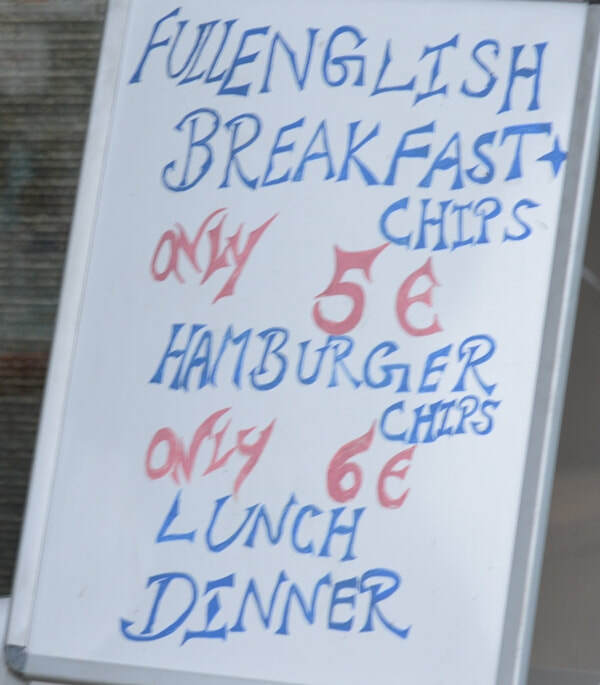 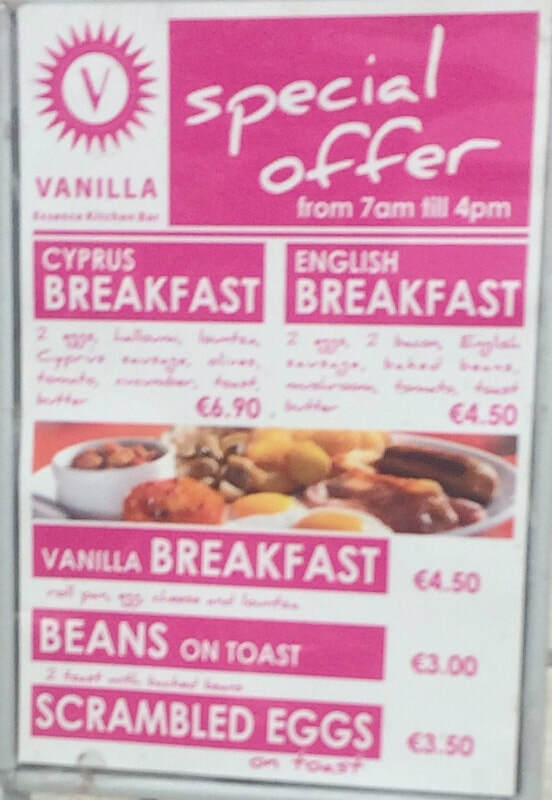 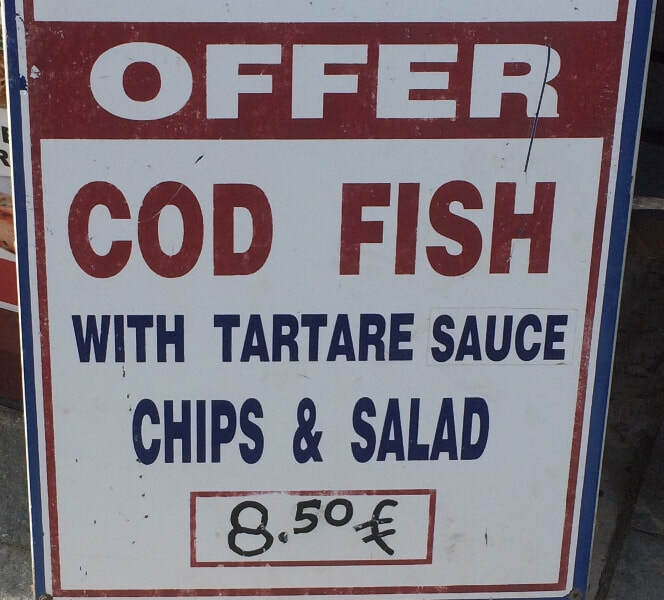 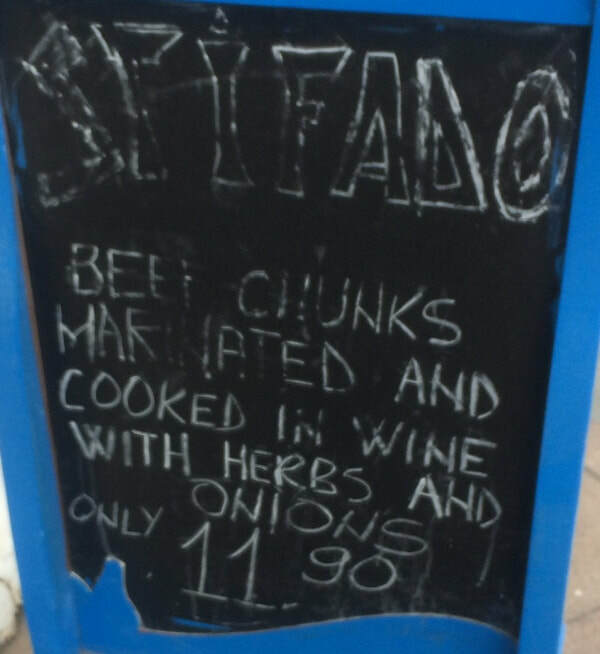 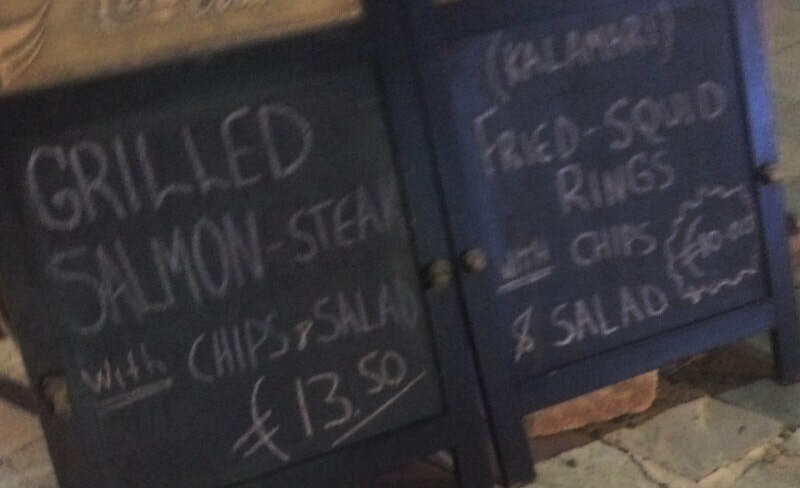 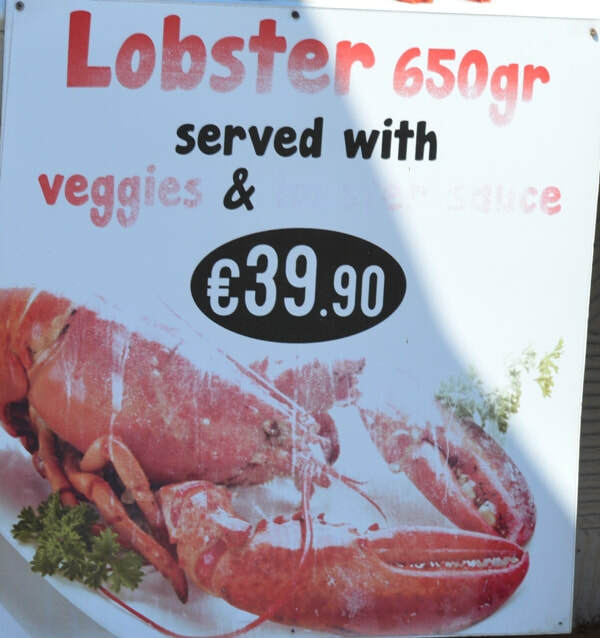 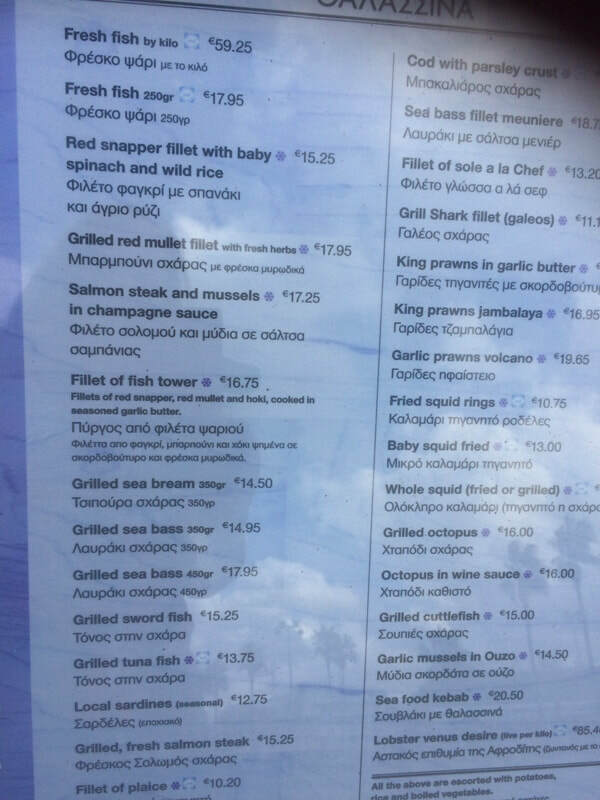 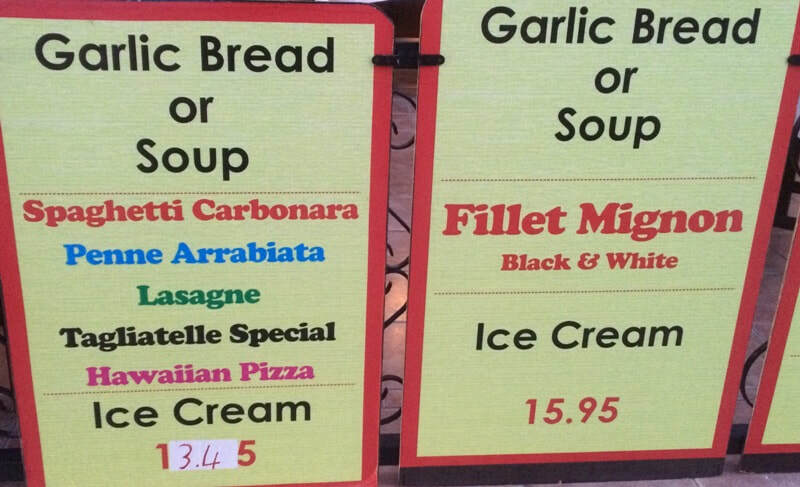 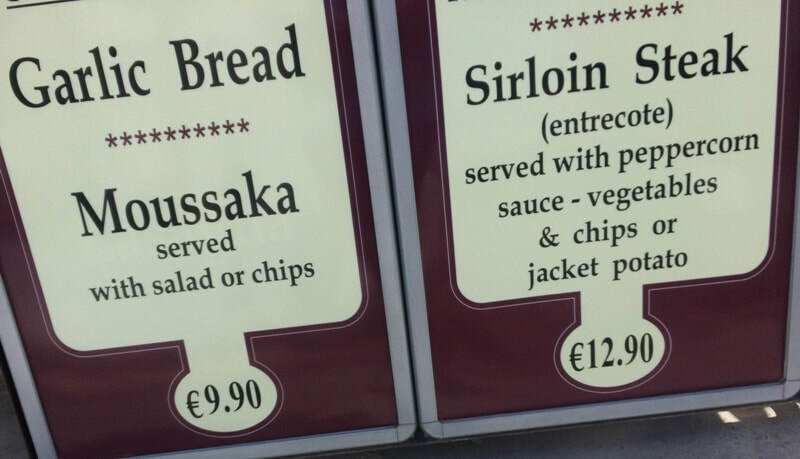 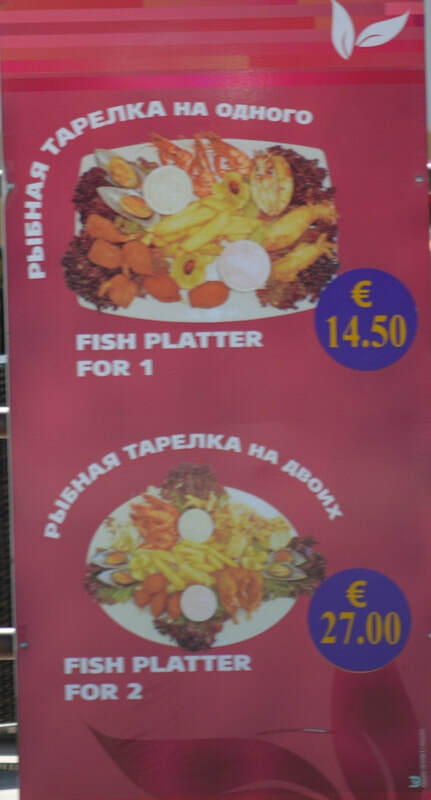 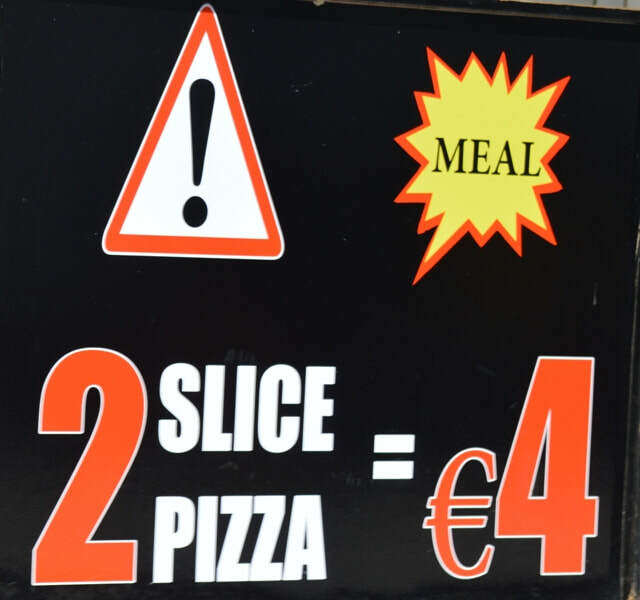 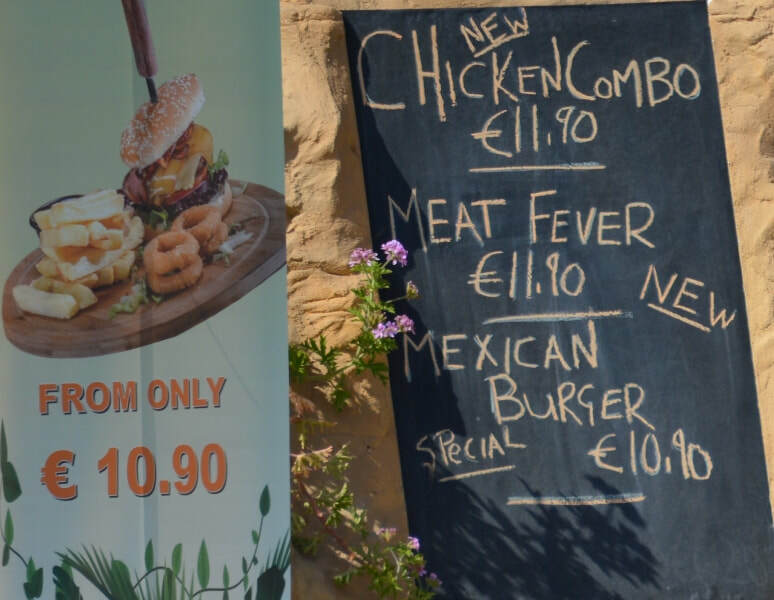 Many people ask if Ayia Napa is an expensive place and truthfully it can be as cheap or as expensive as you want it to be as there is such a wide choice of places to eat and drink. 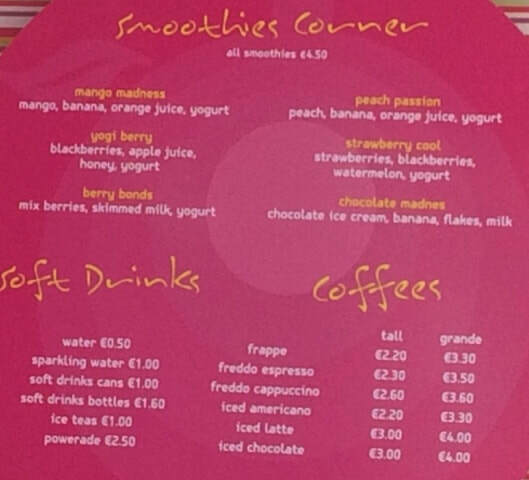 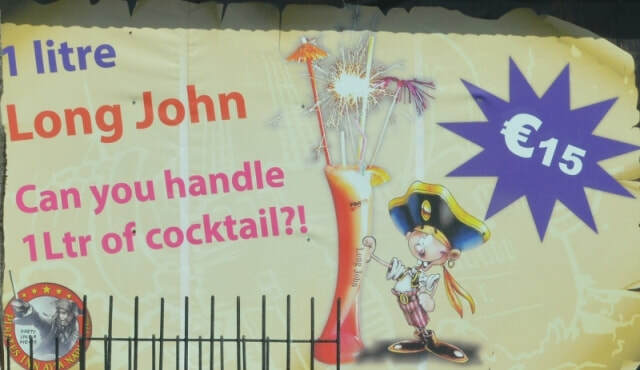 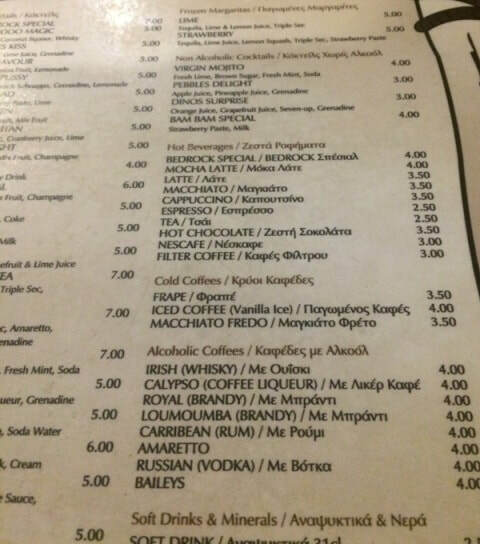 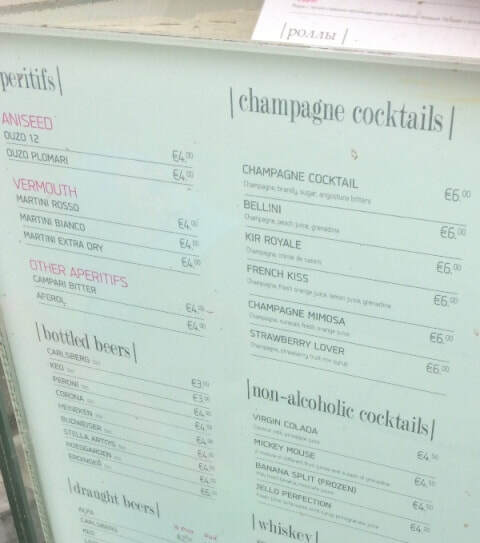 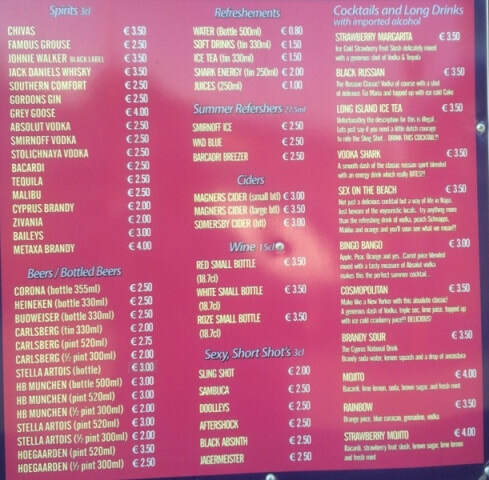 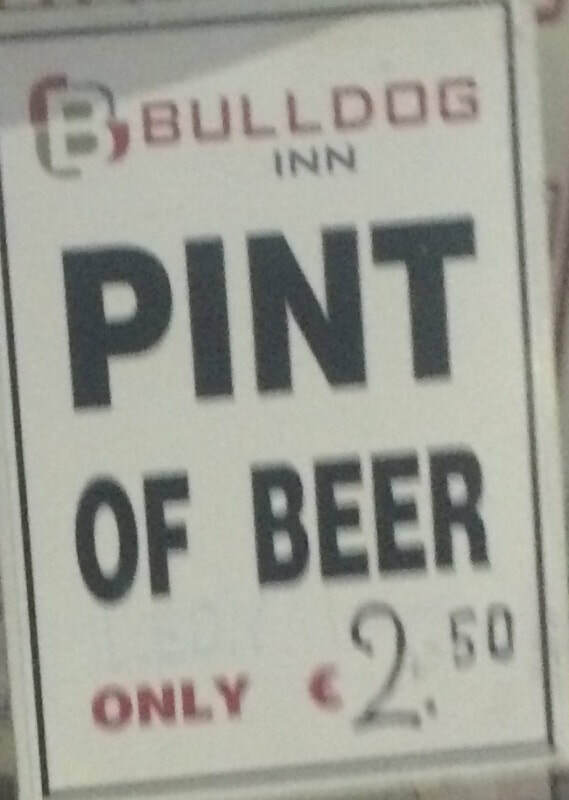 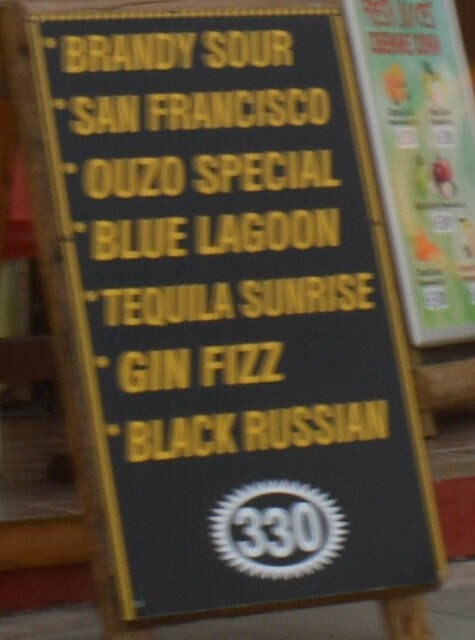 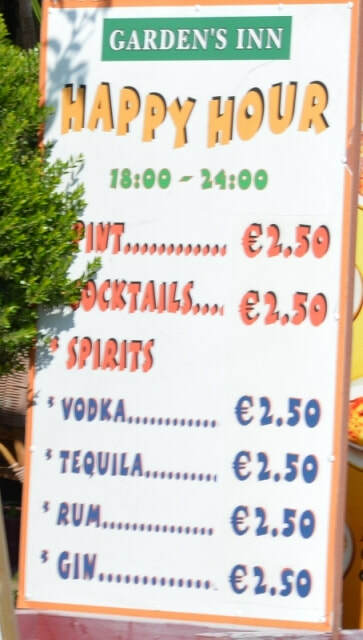 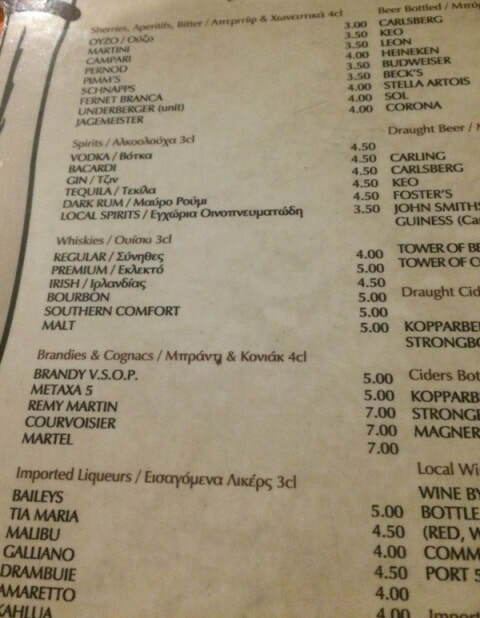 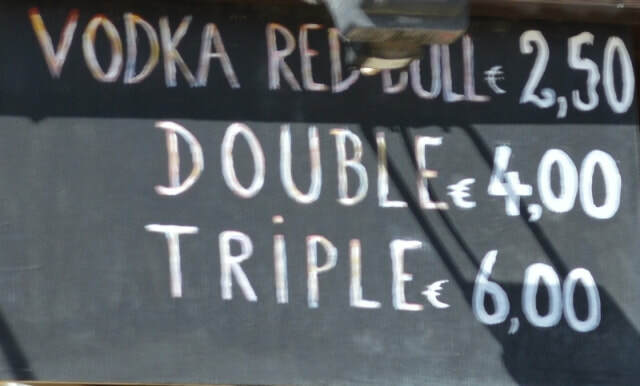 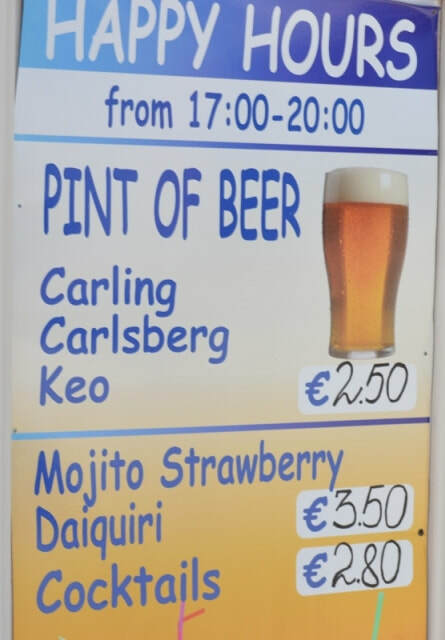 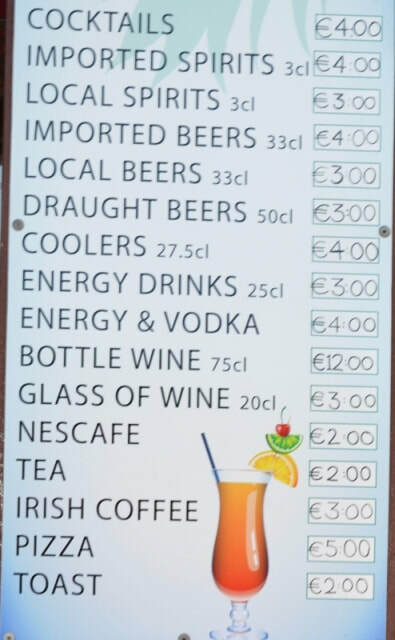 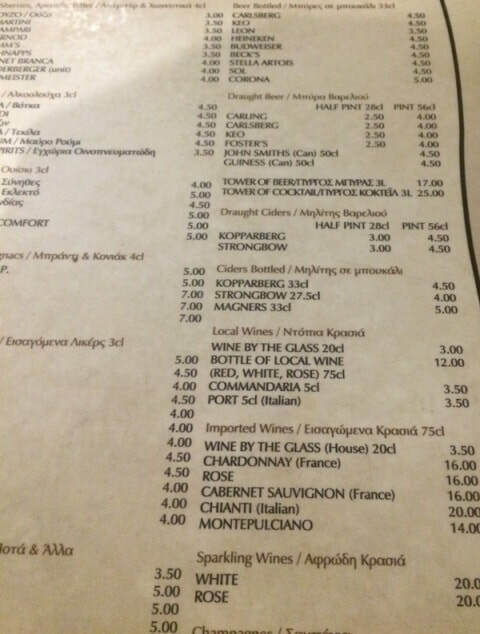 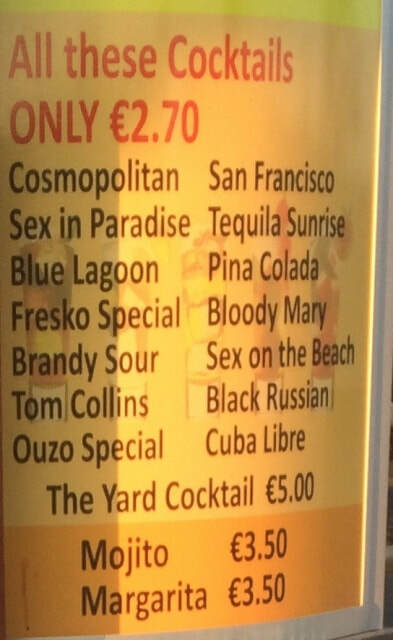 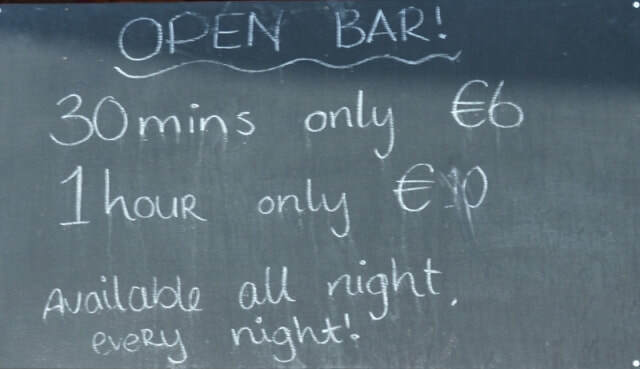 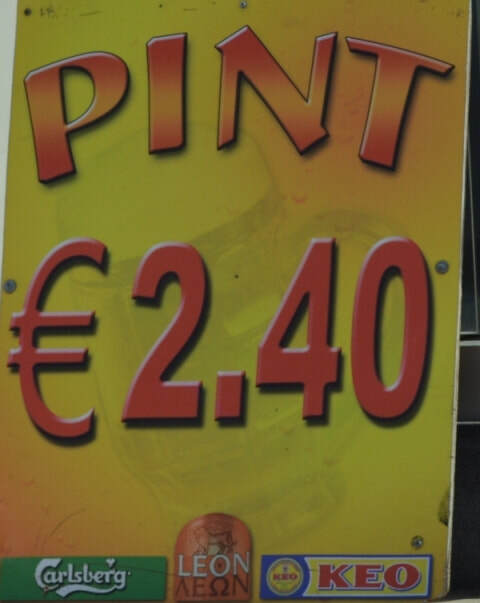 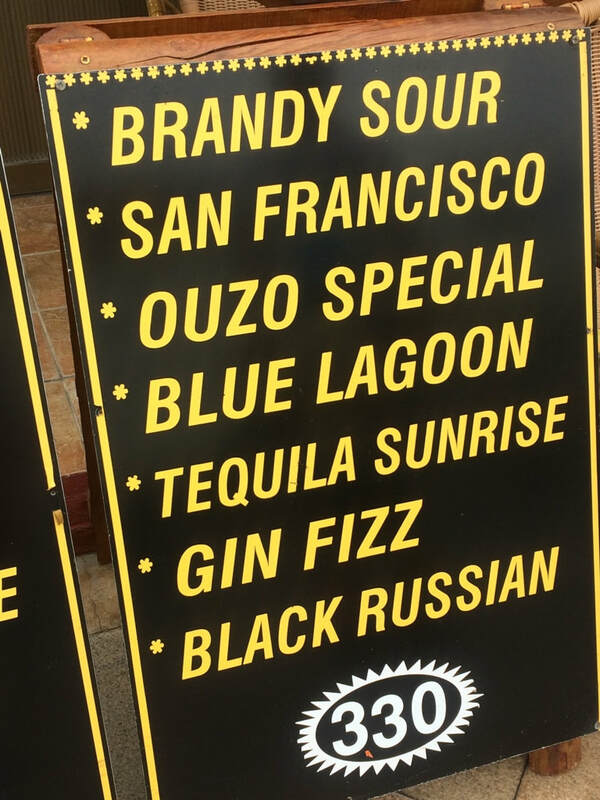 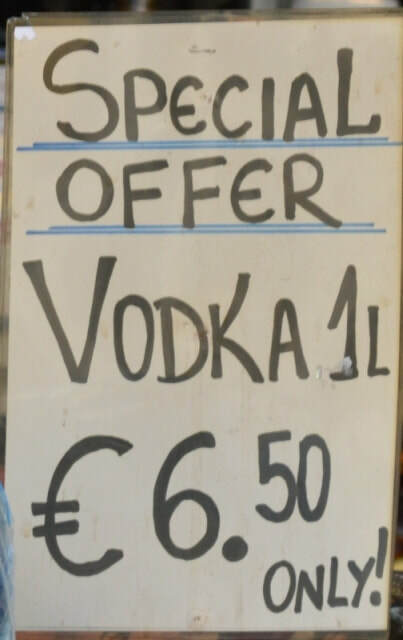 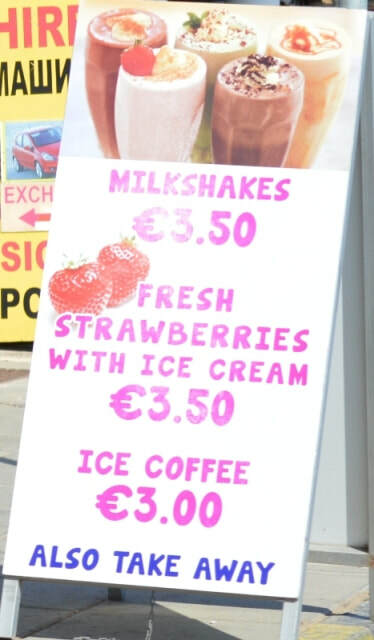 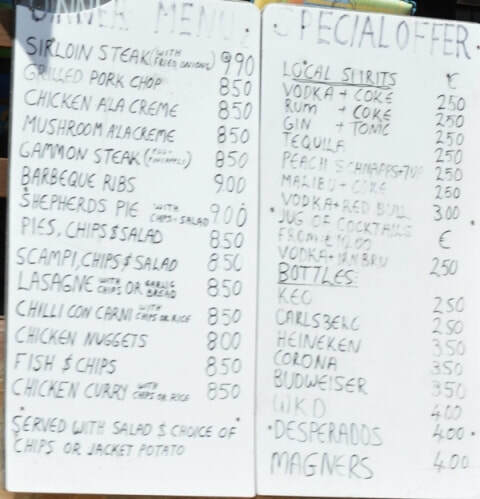 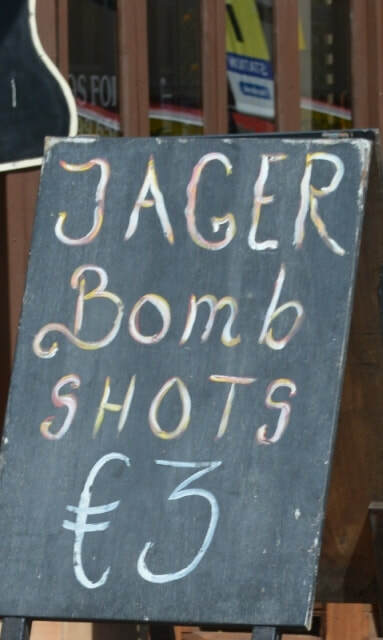 Drinks prices in Ayia Napa vary depending on what bars you go to and what time of day or night with many venues offering happy hours or discounted drinks earlier in the evenings and daytime. 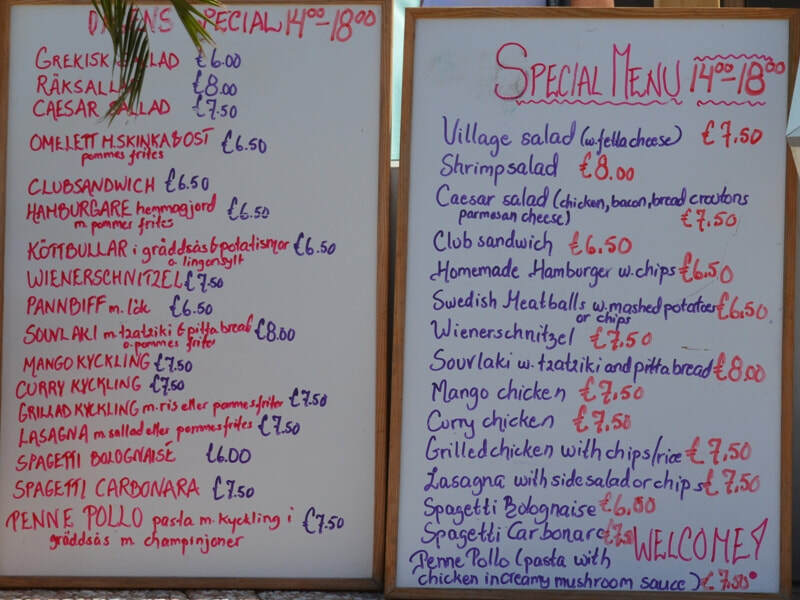 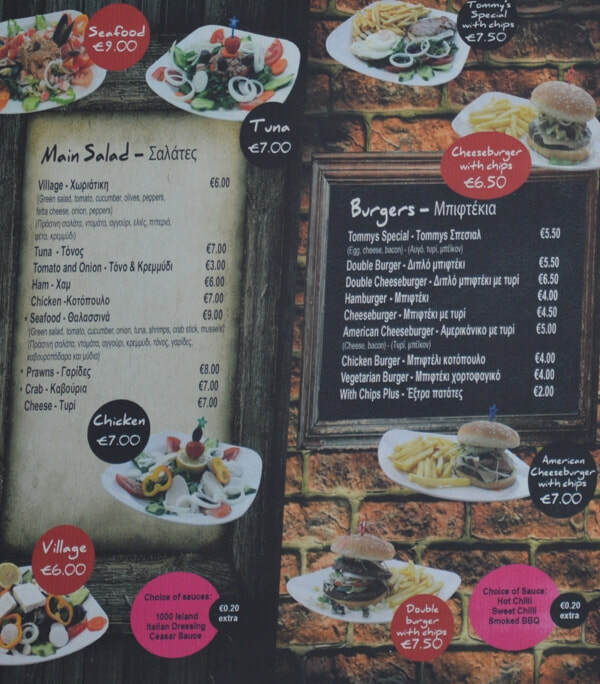 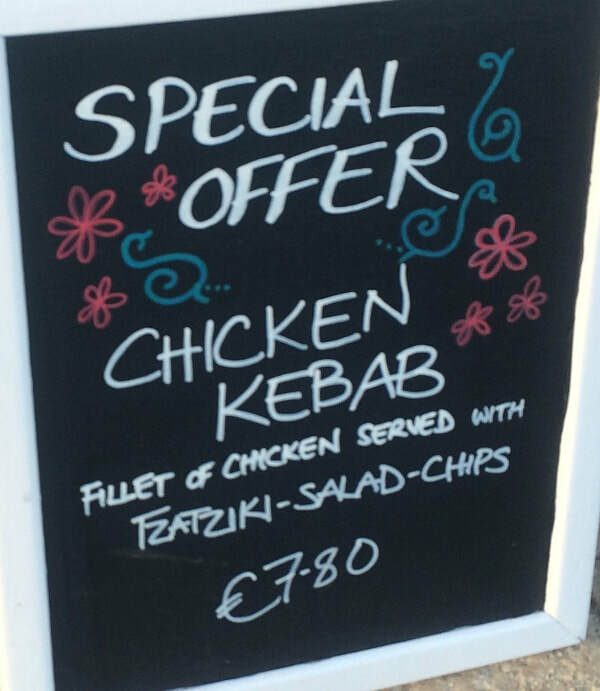 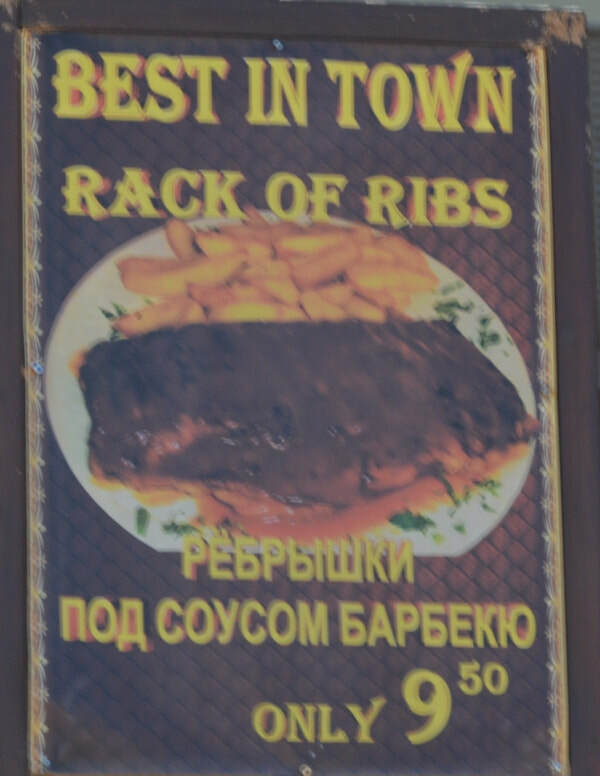 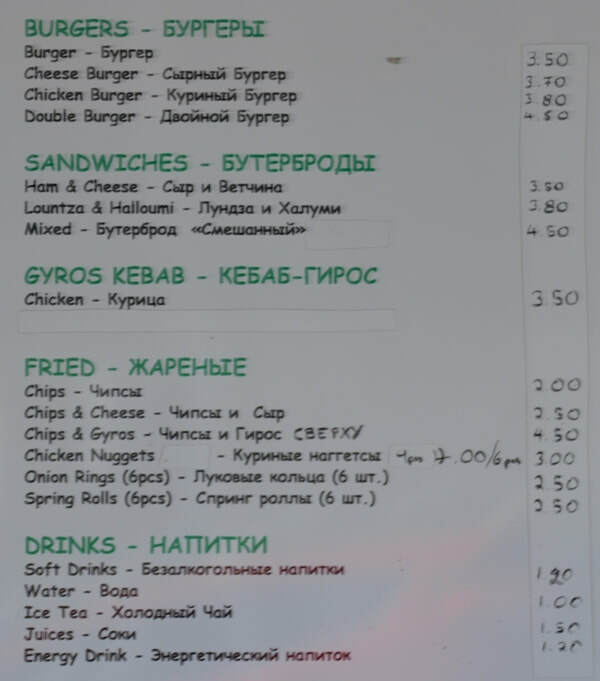 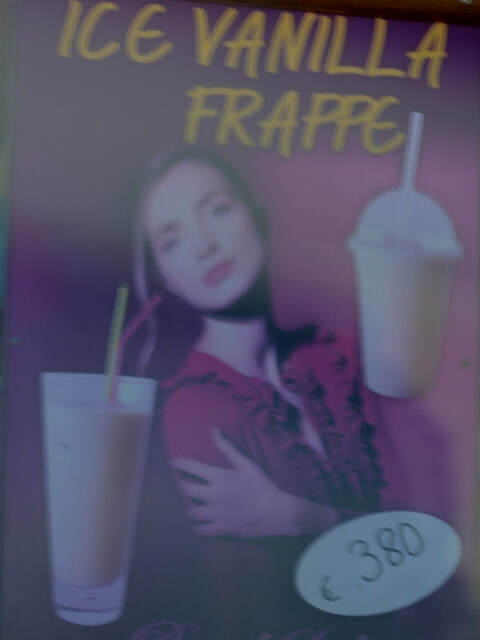 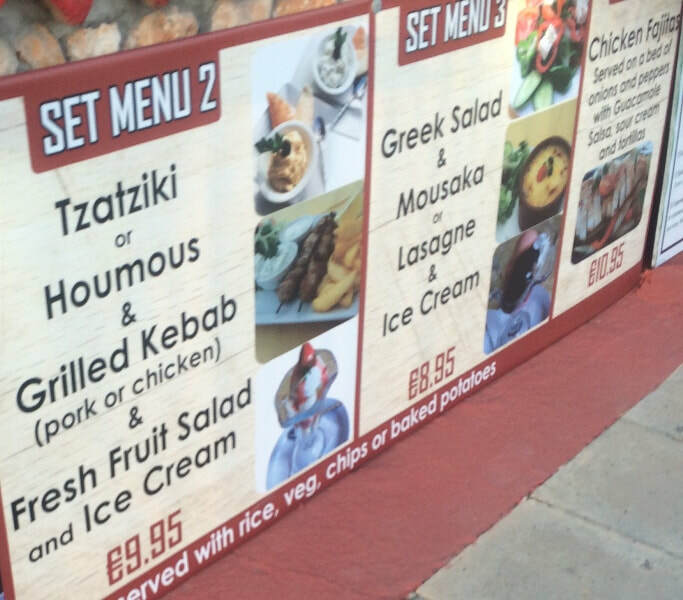 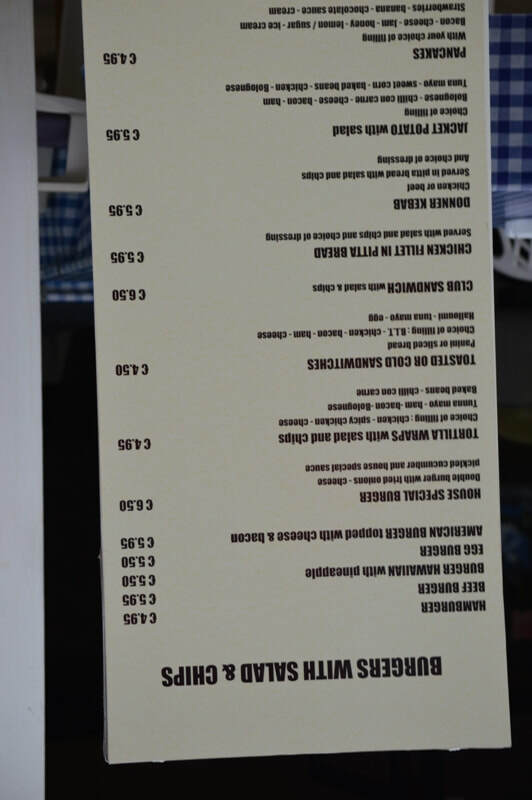 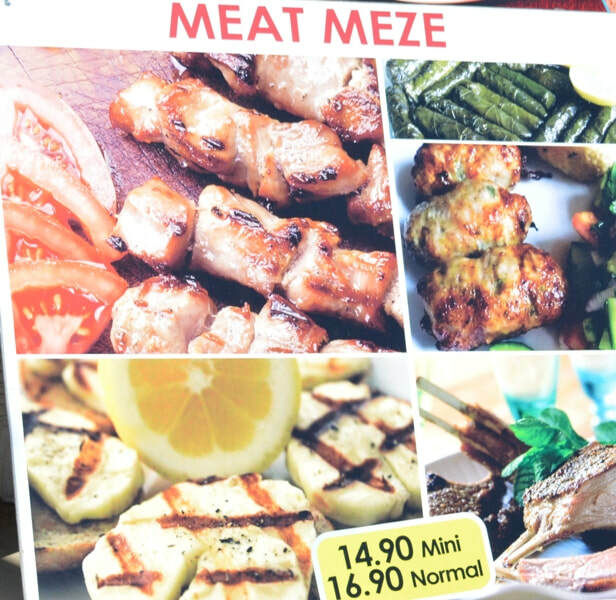 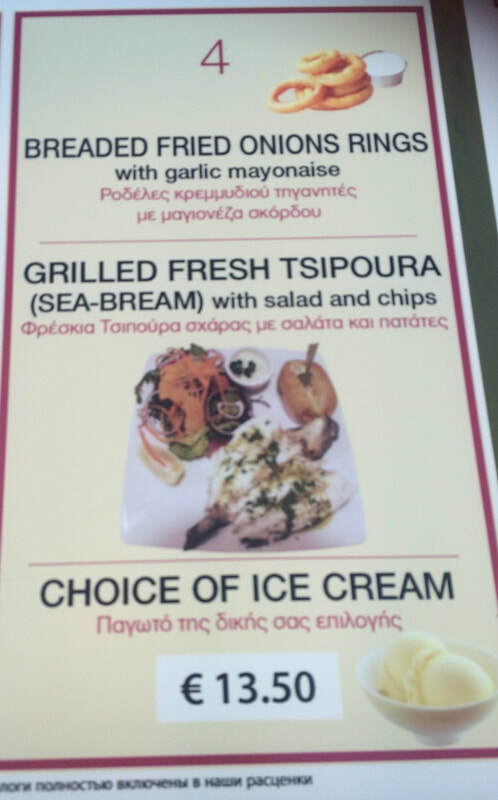 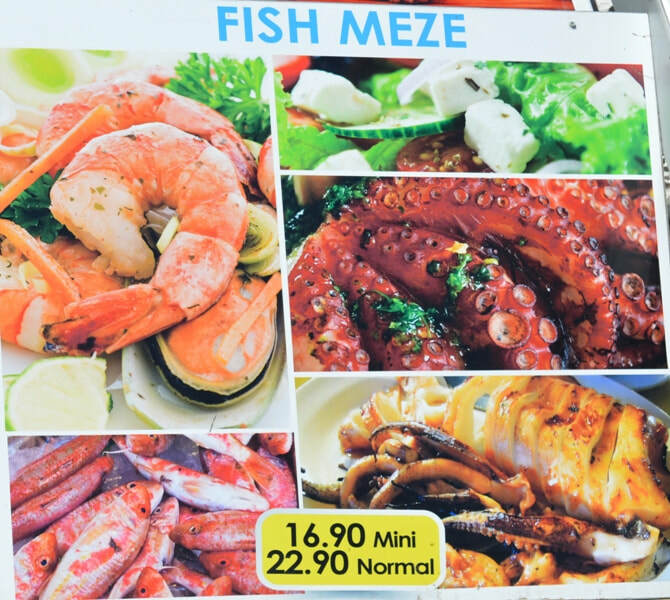 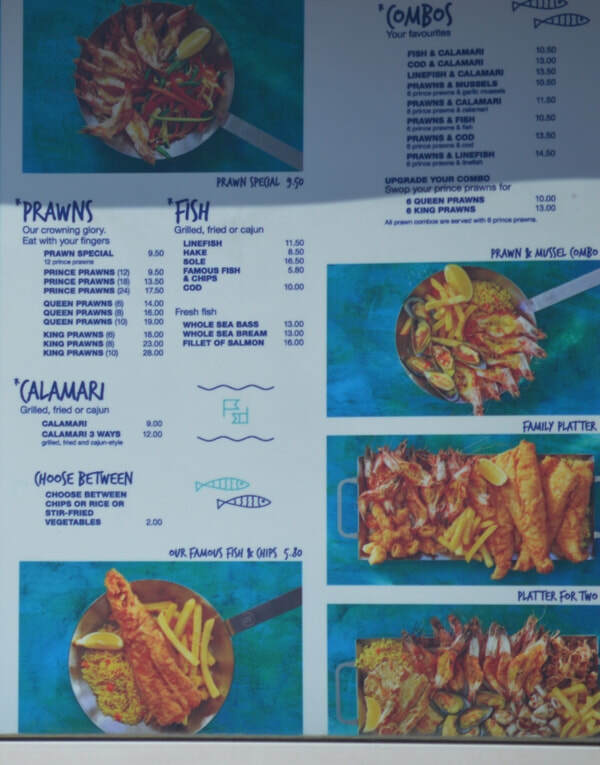 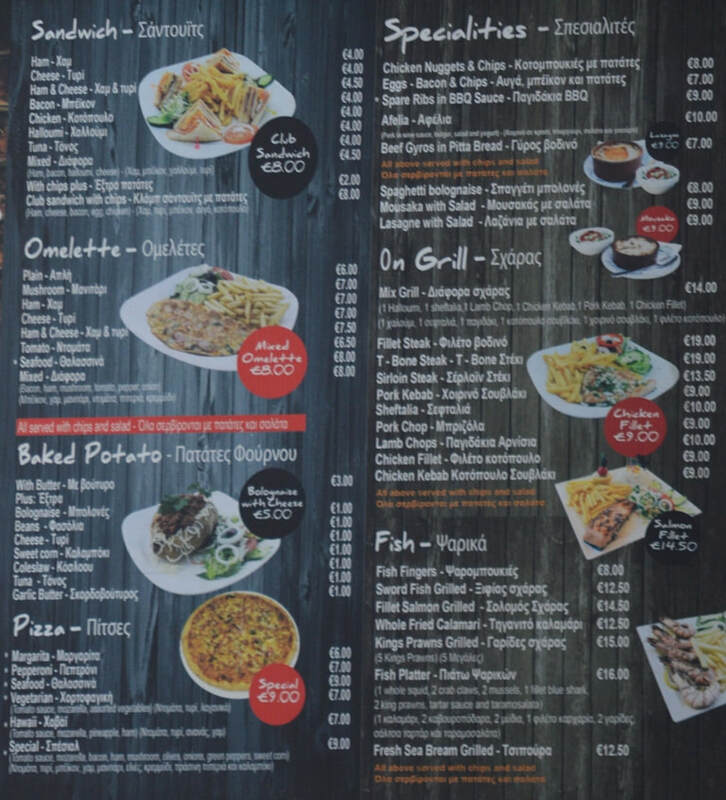 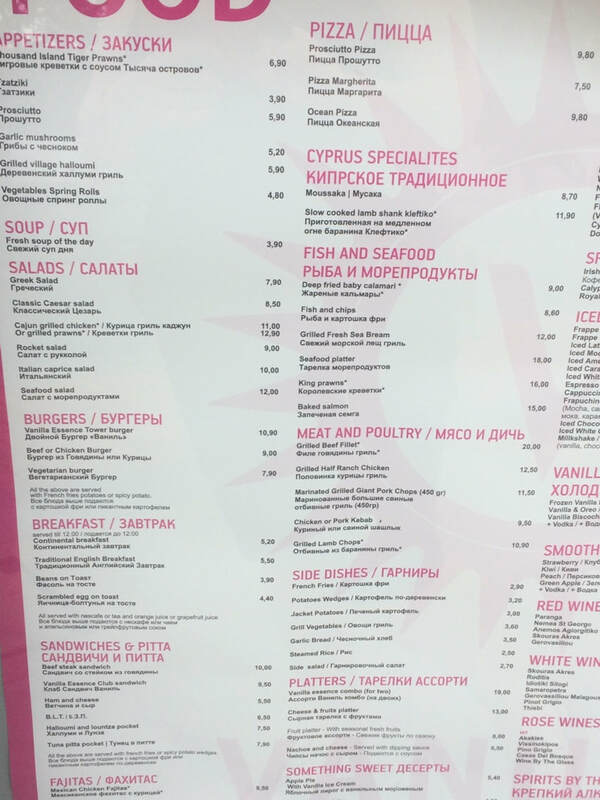 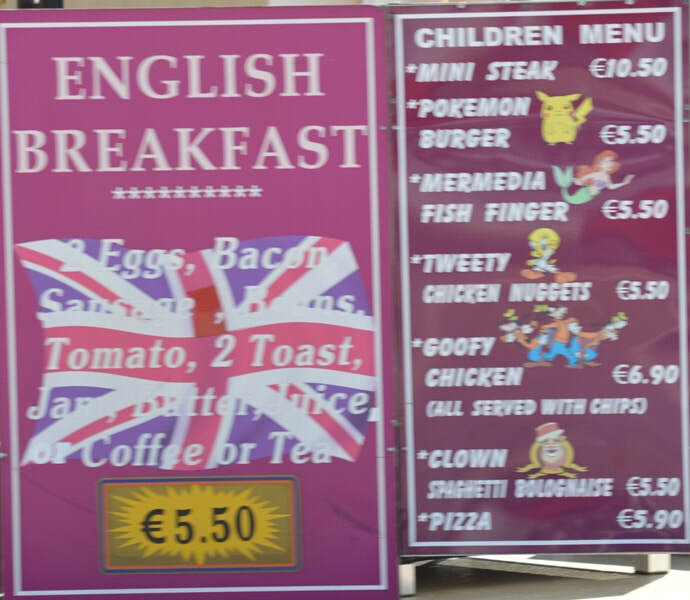 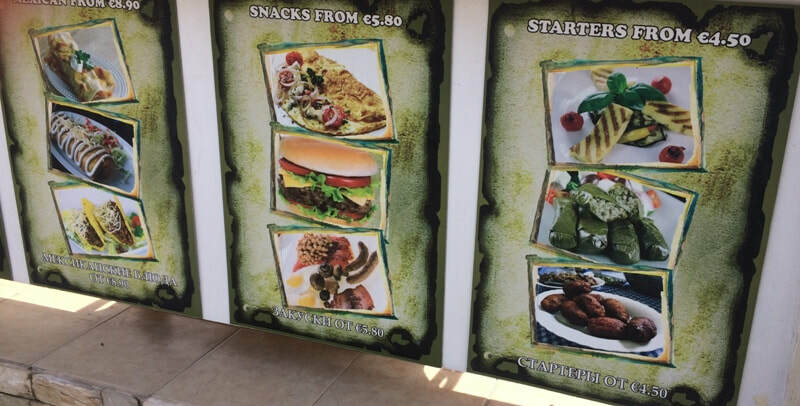 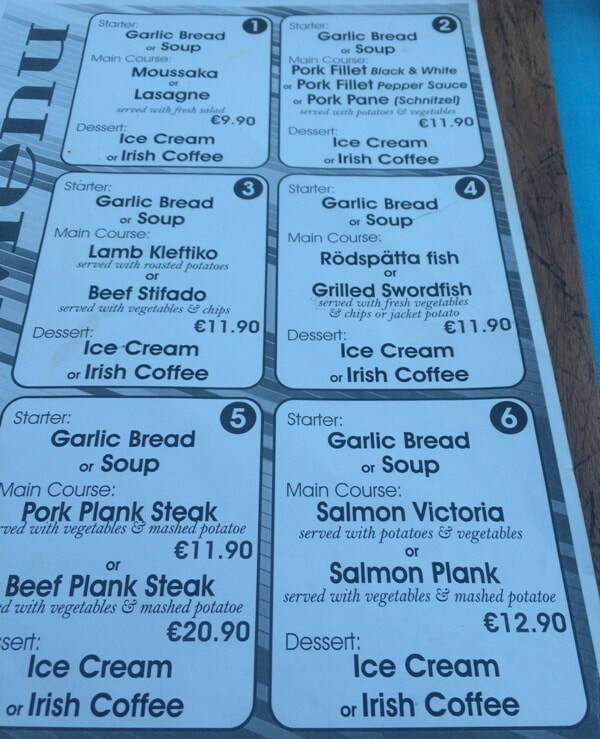 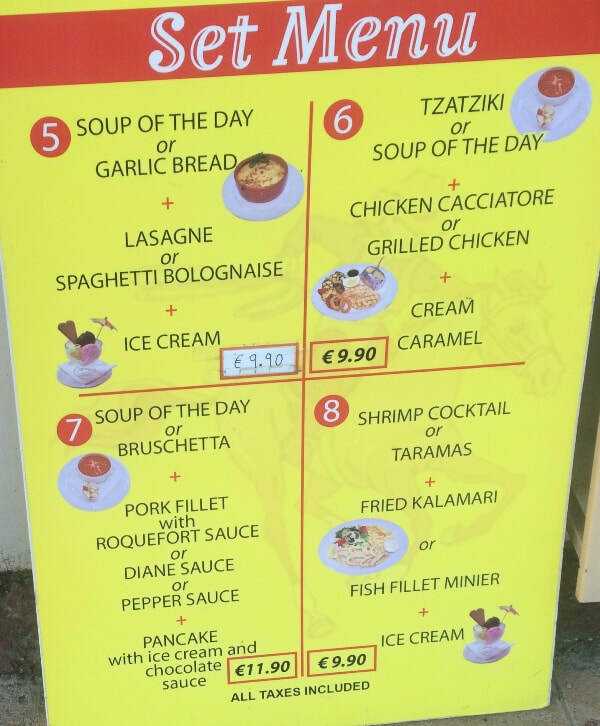 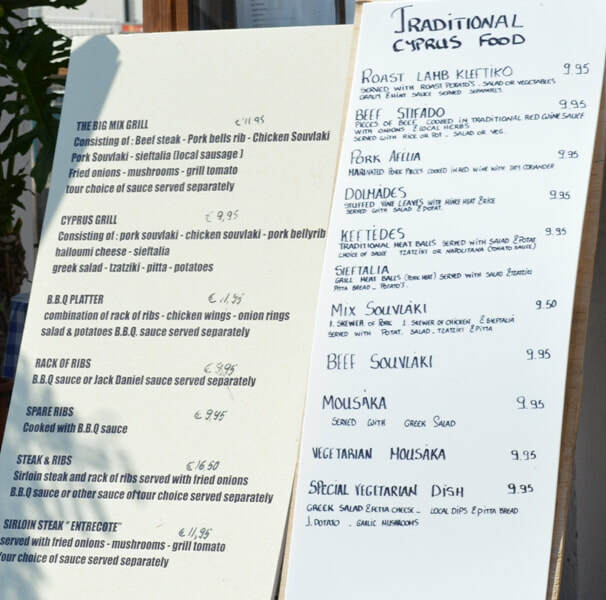 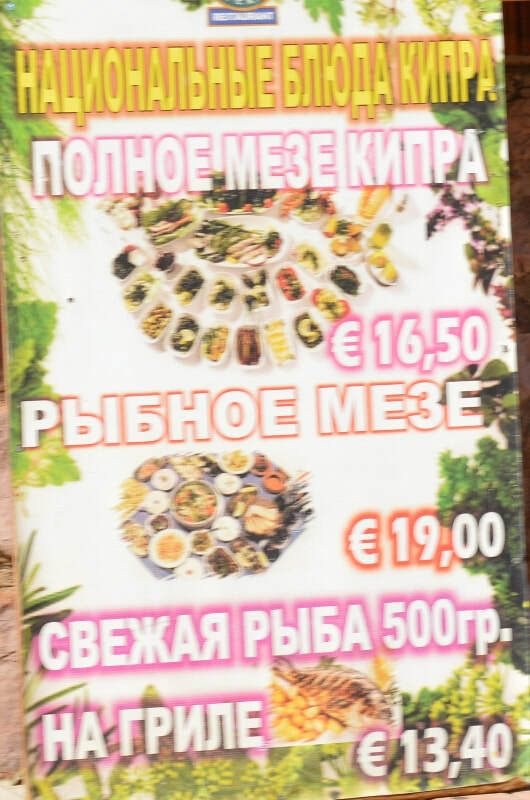 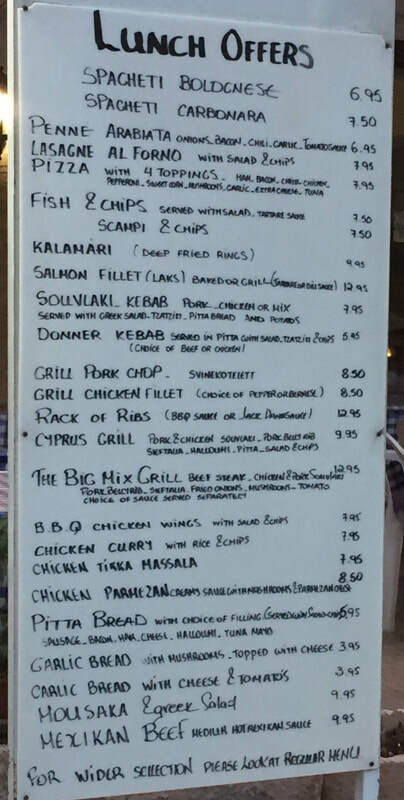 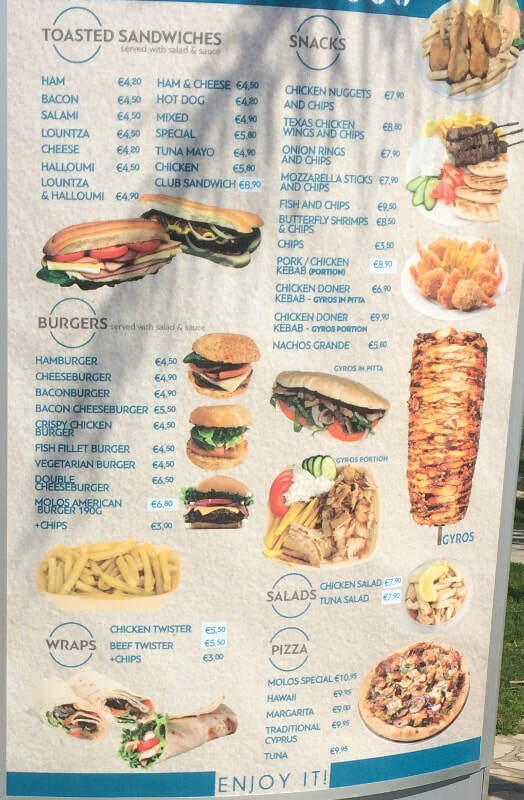 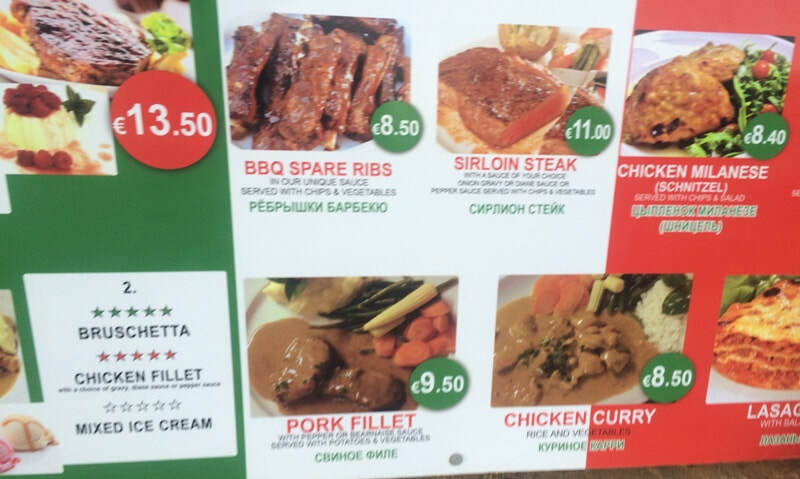 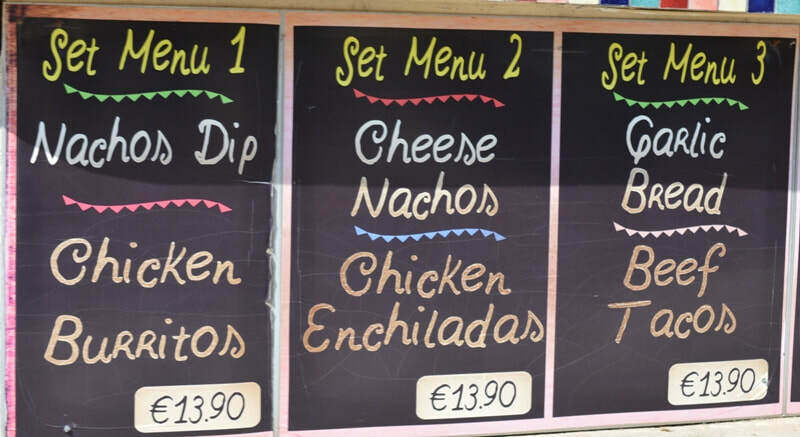 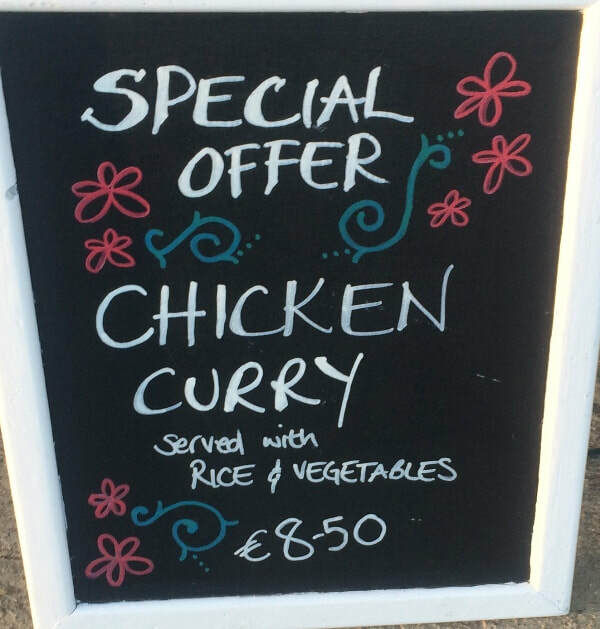 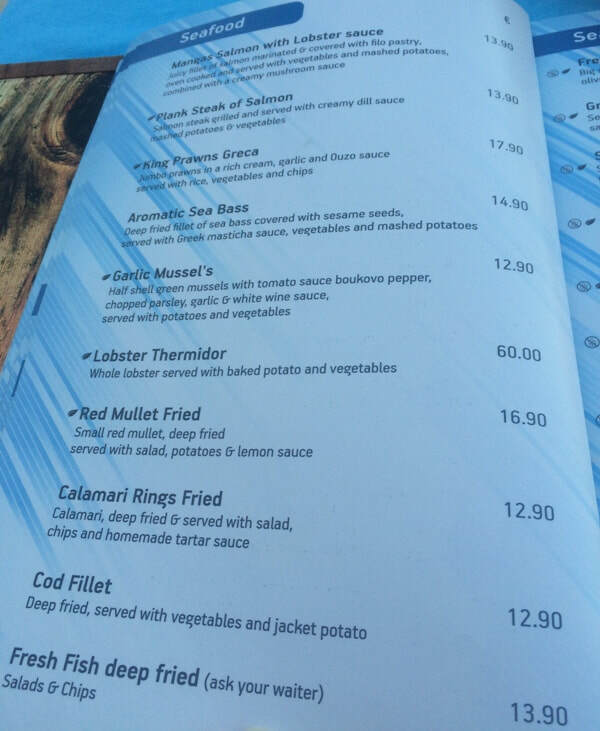 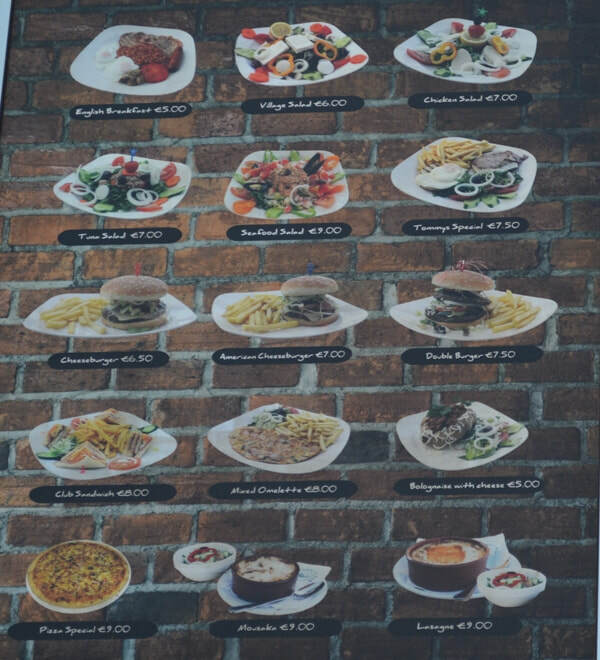 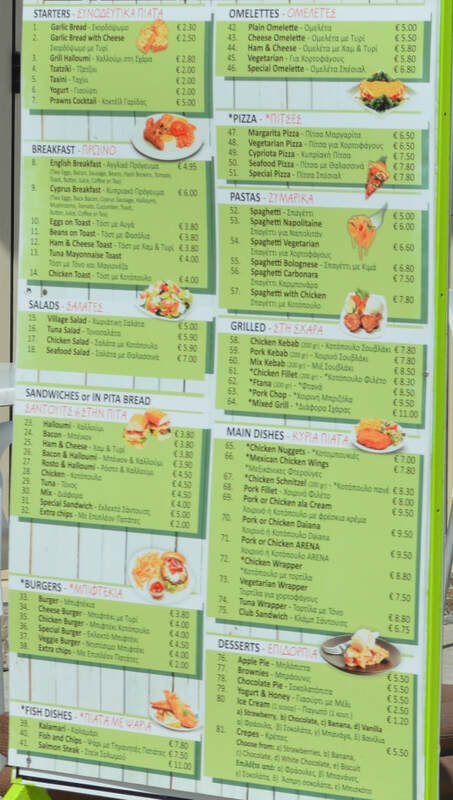 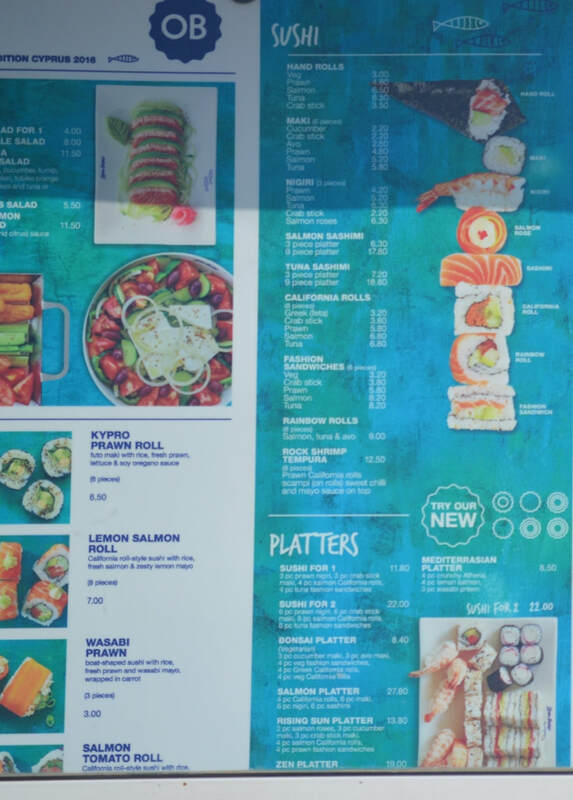 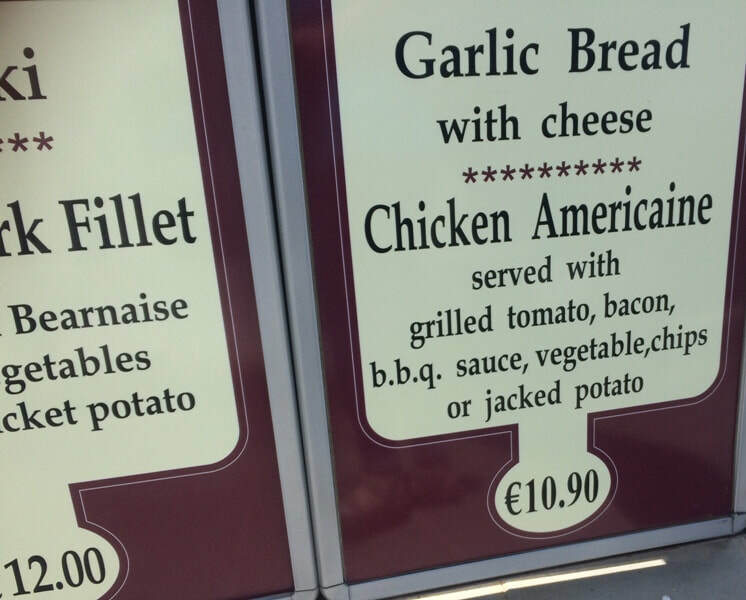 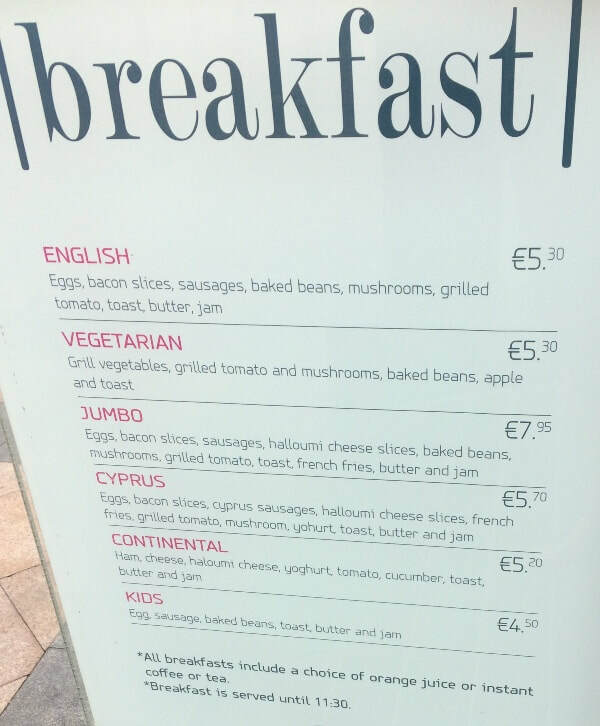 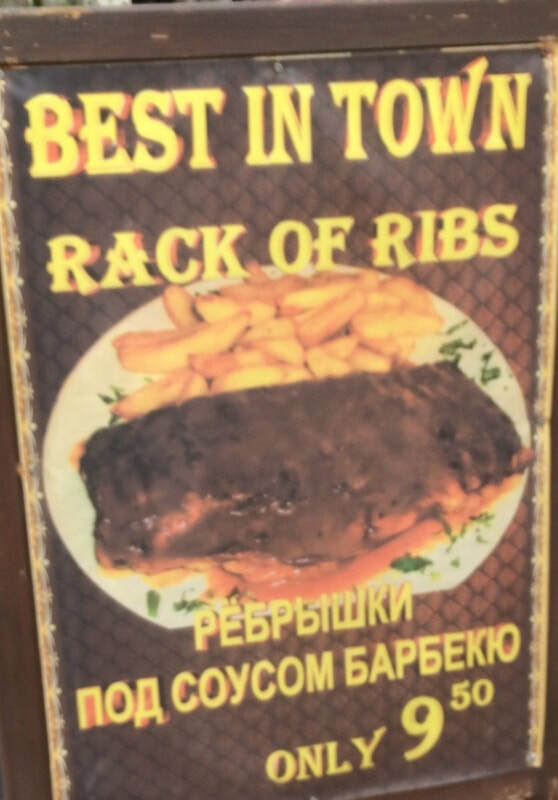 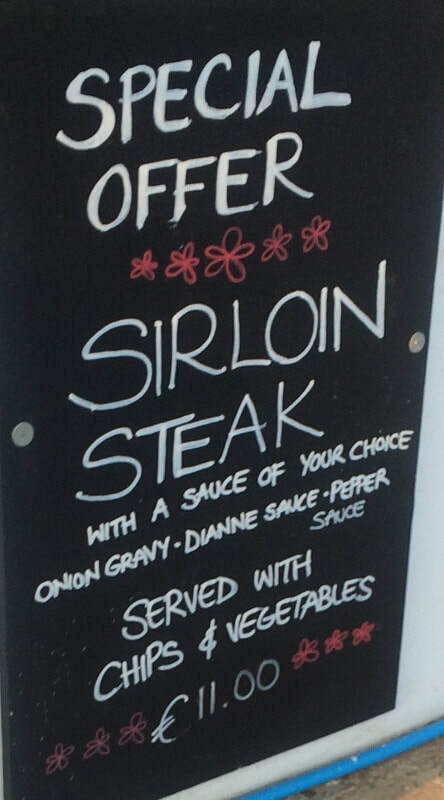 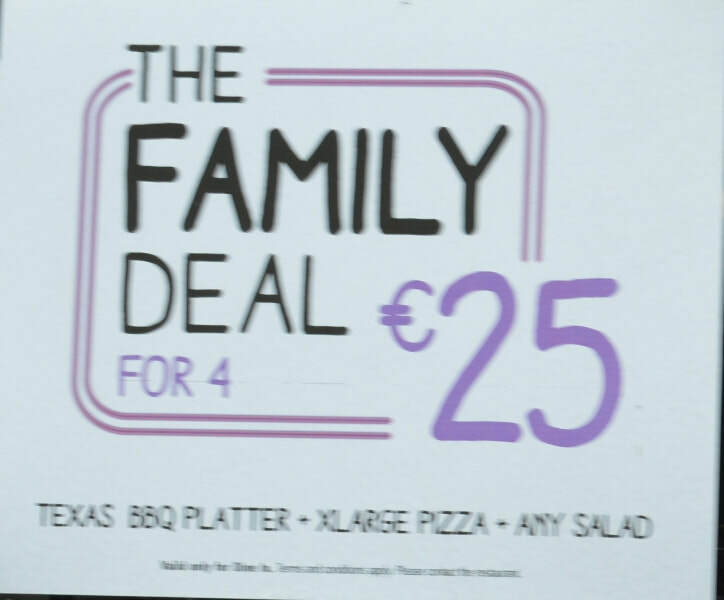 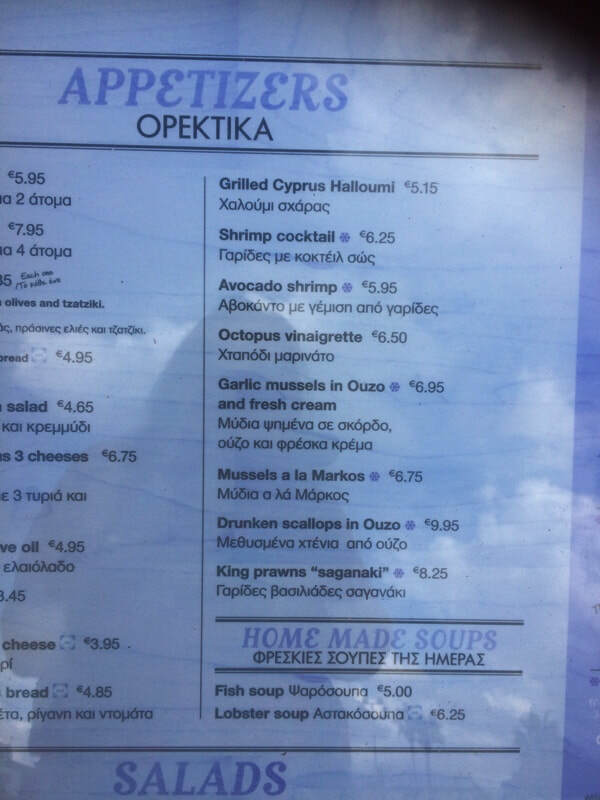 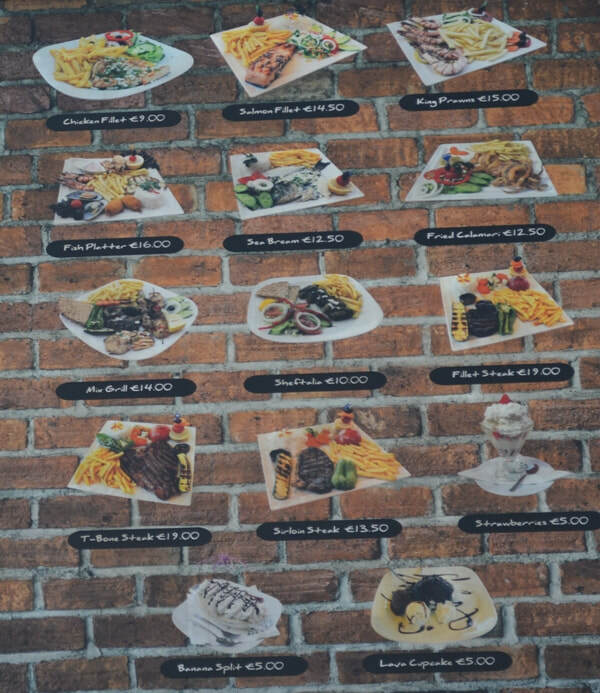 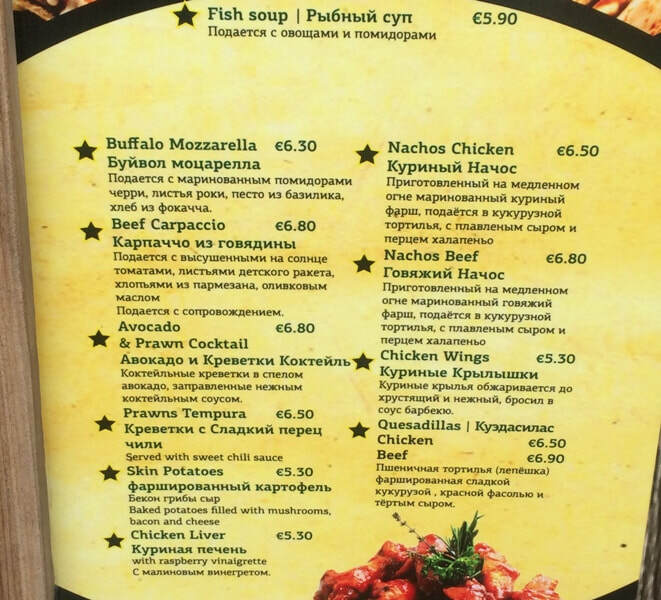 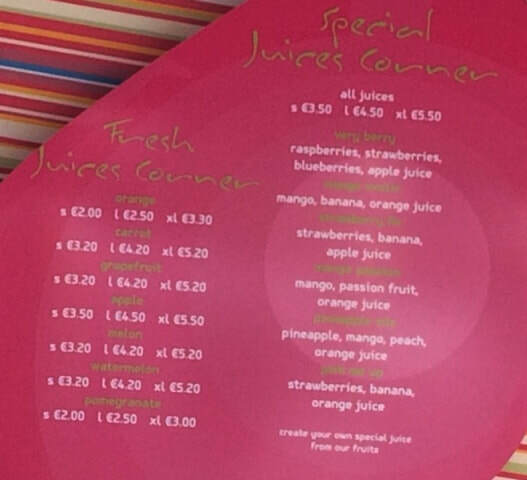 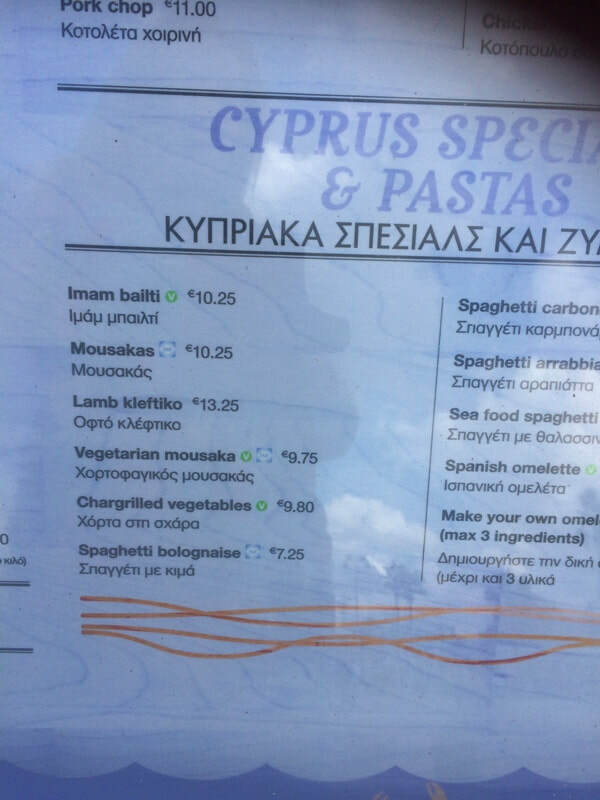 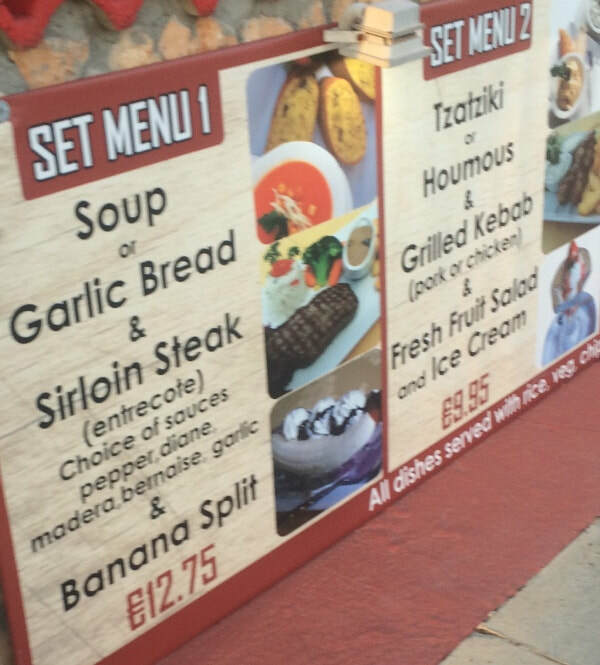 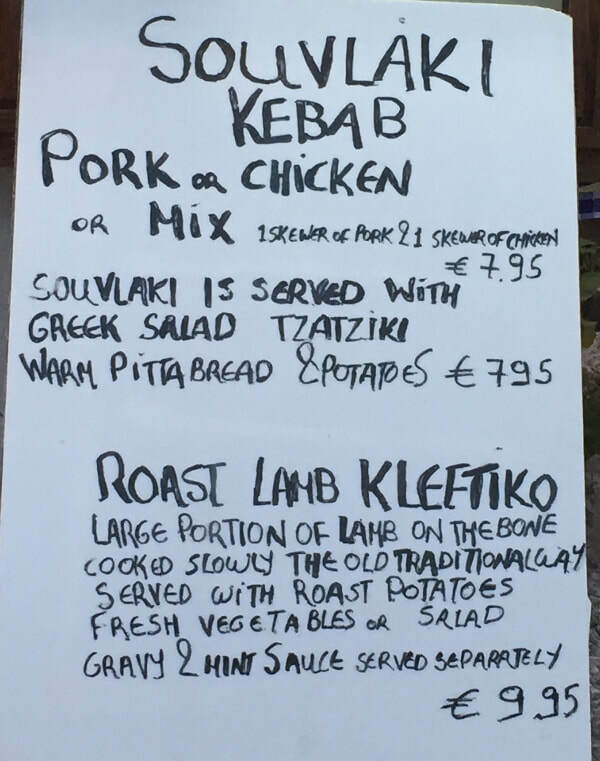 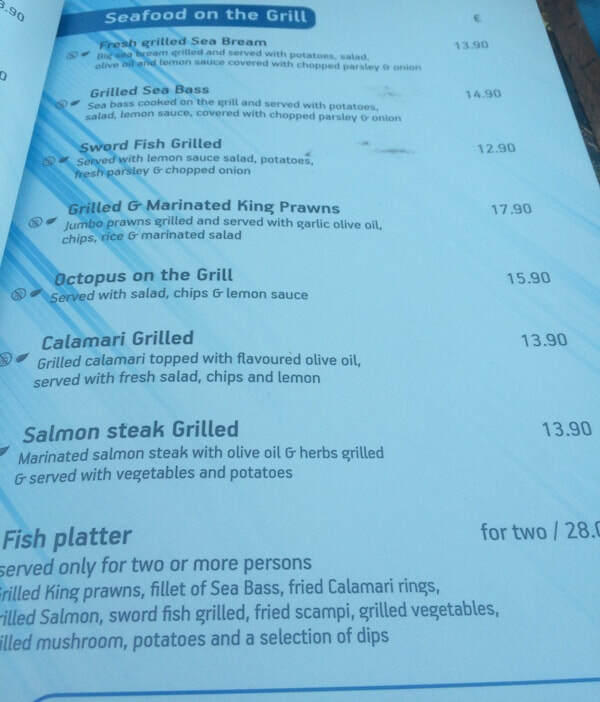 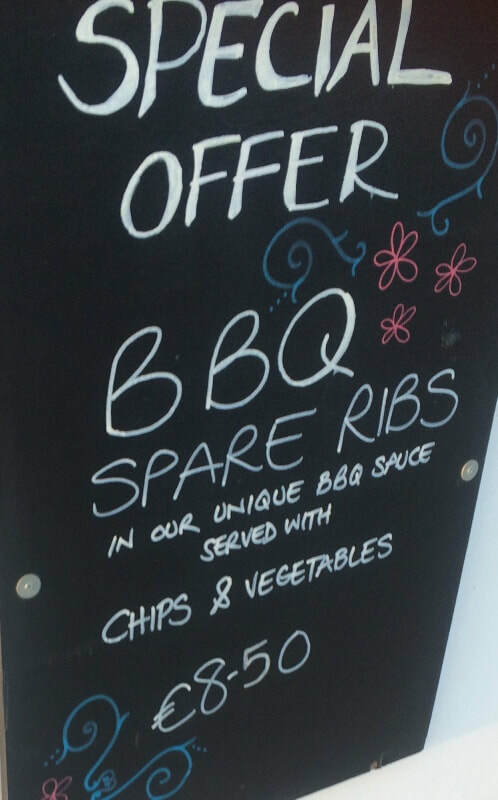 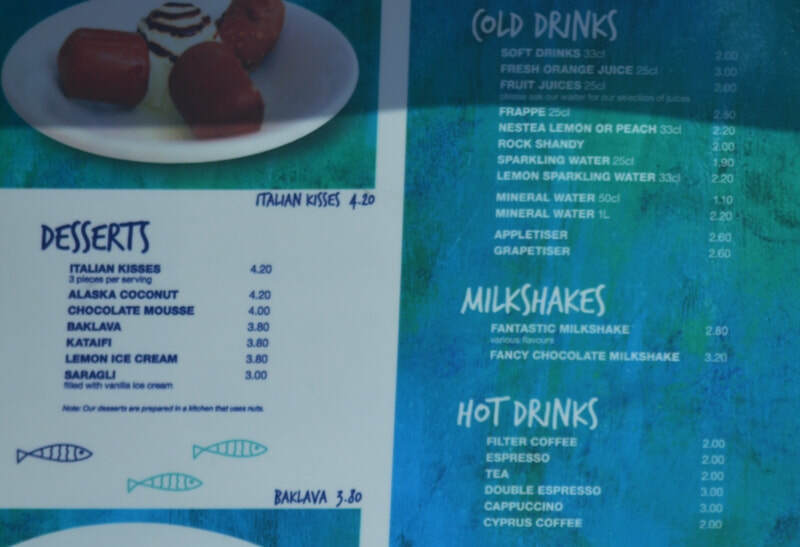 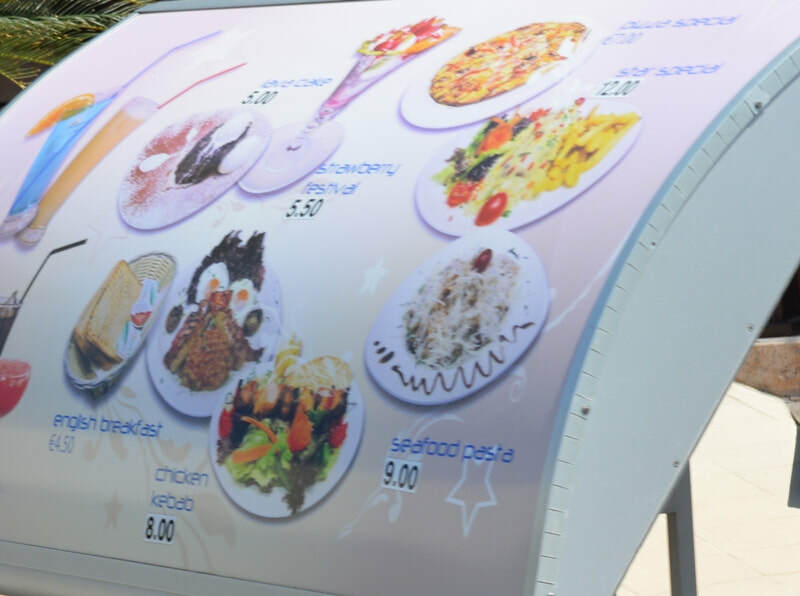 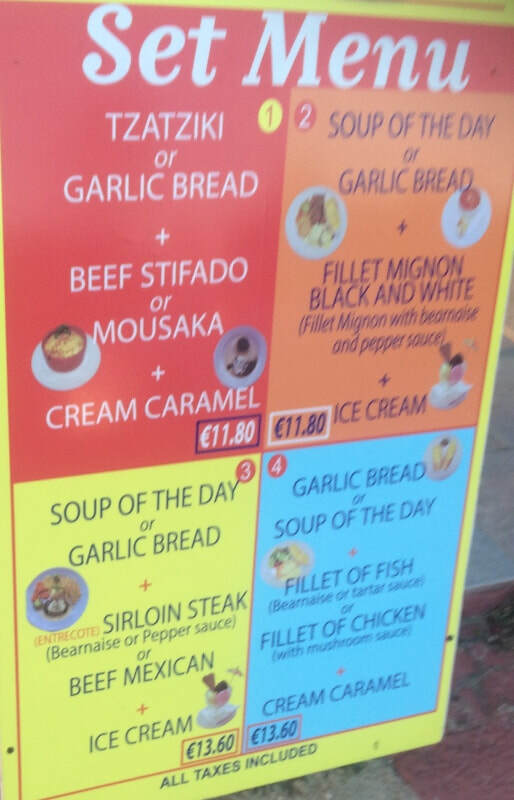 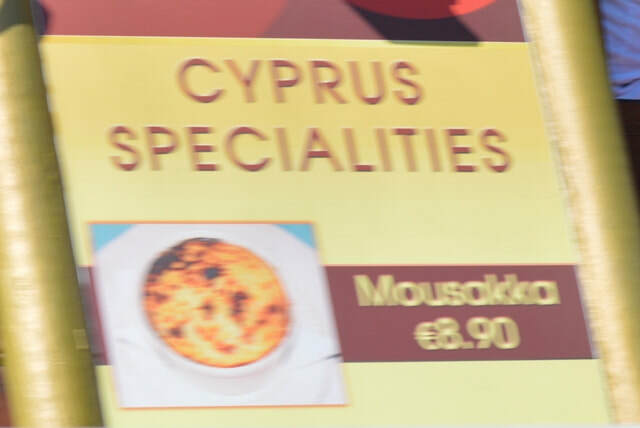 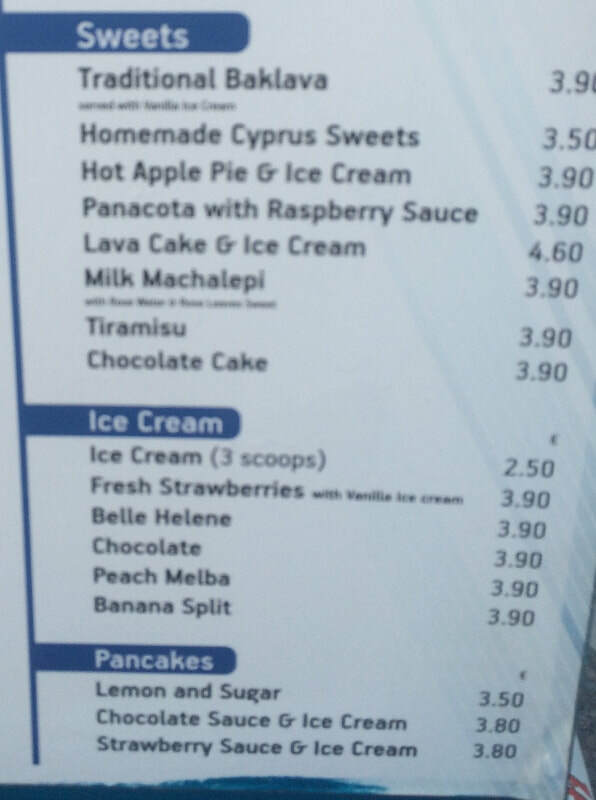 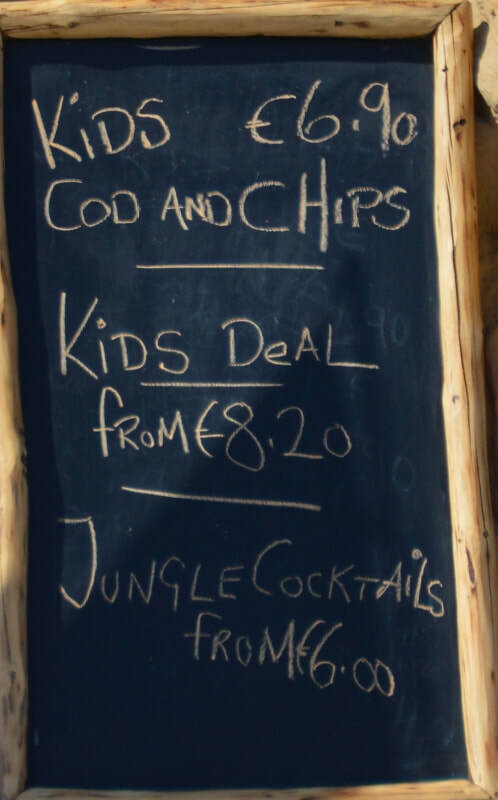 We've taken pictures of menu's from loads of bars and restaurants all over Ayia Napa so you can see the massive variety of food and drink choices available.